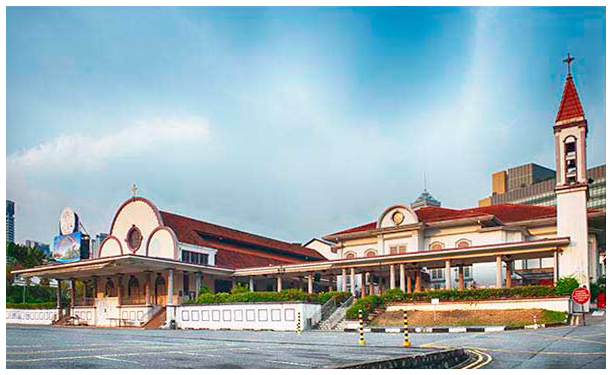 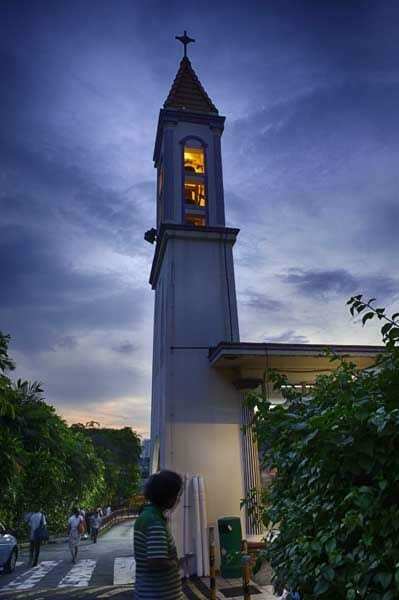 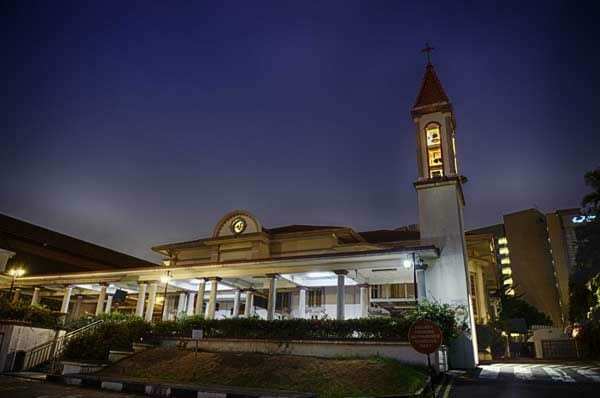 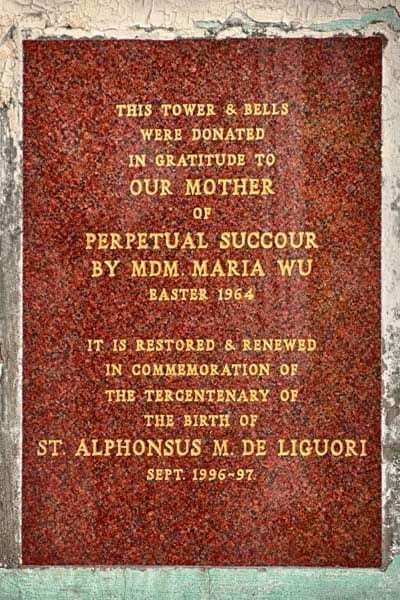 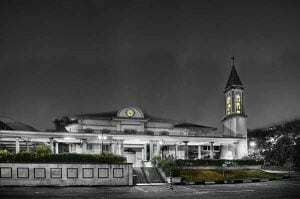 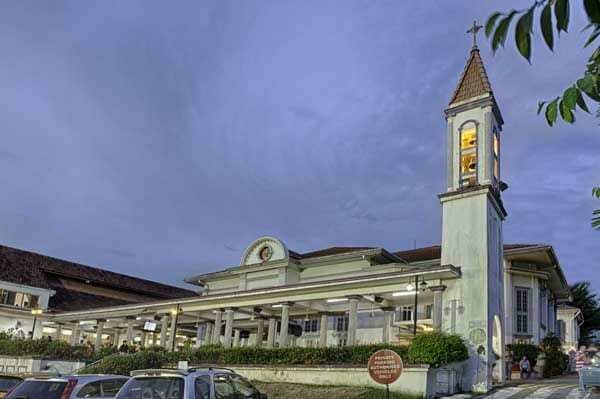 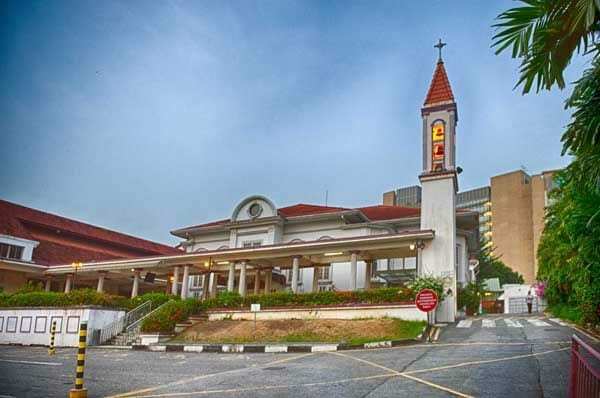 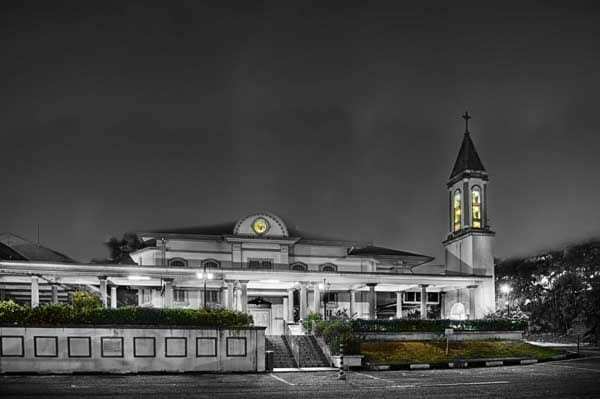 A large part of my growing up years was spent at Novena Church, (officially known as Church of St Alphonsus), that iconic church at Thomson Road. 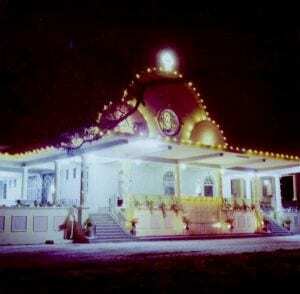 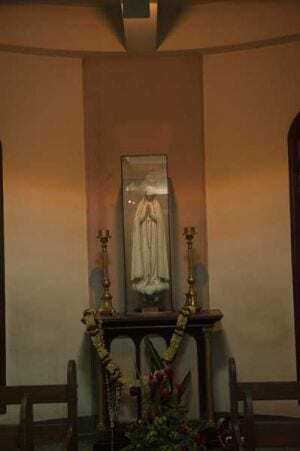 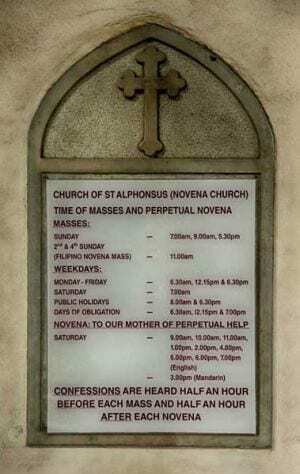 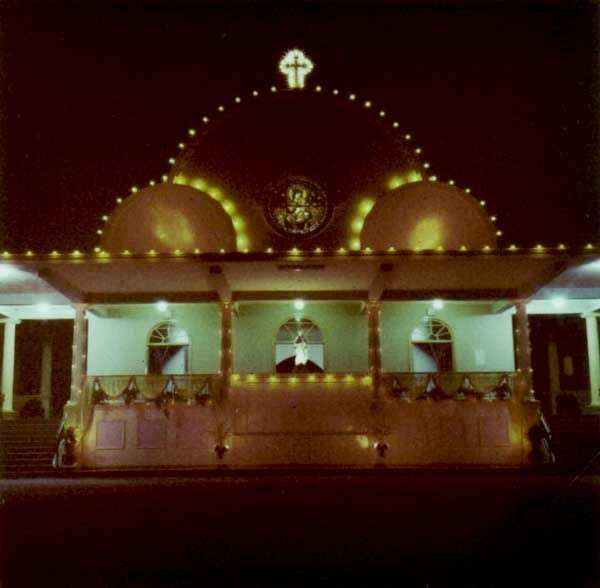 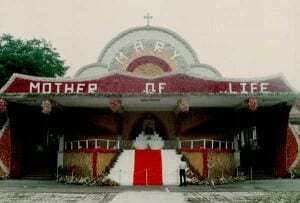 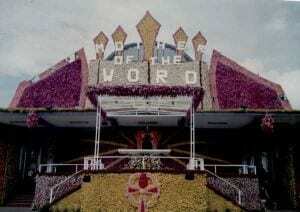 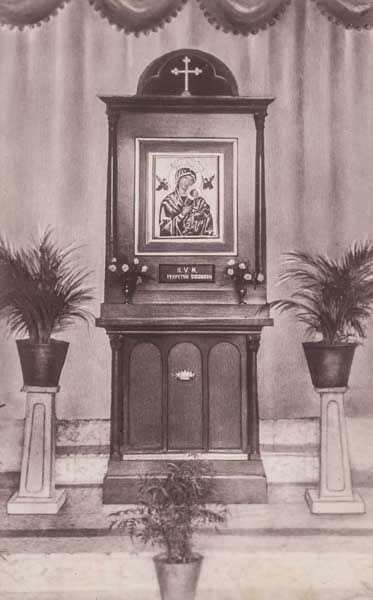 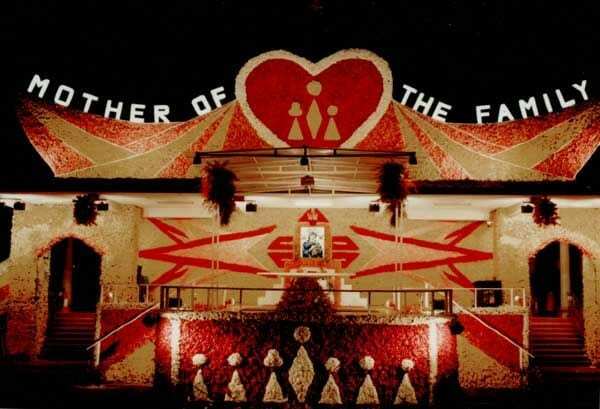 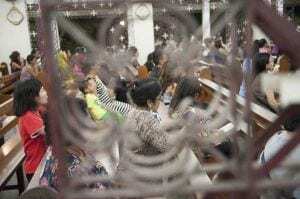 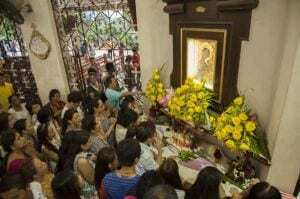 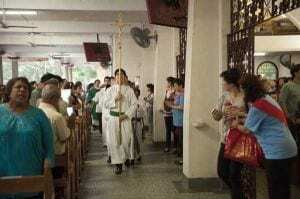 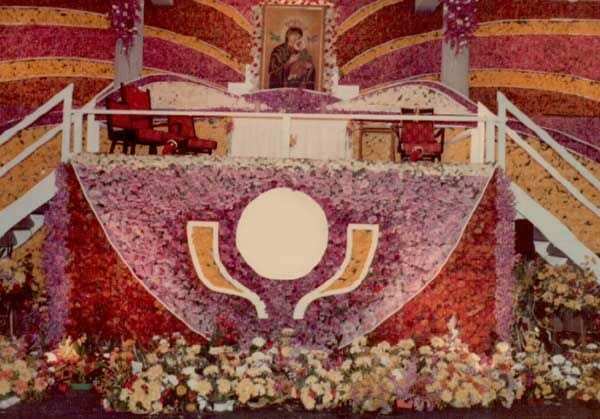 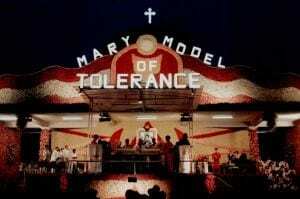 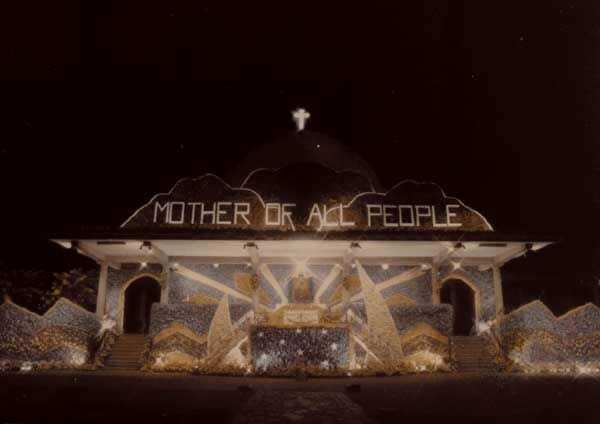 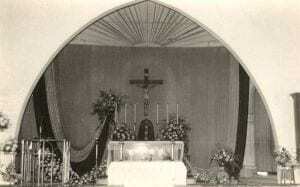 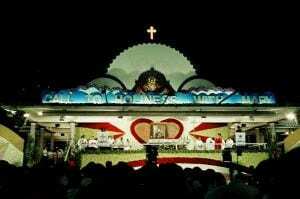 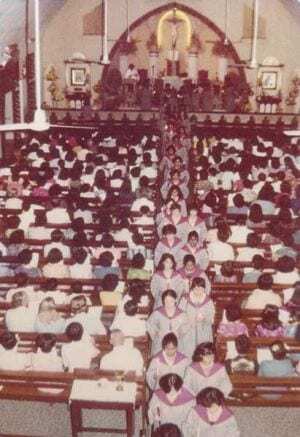 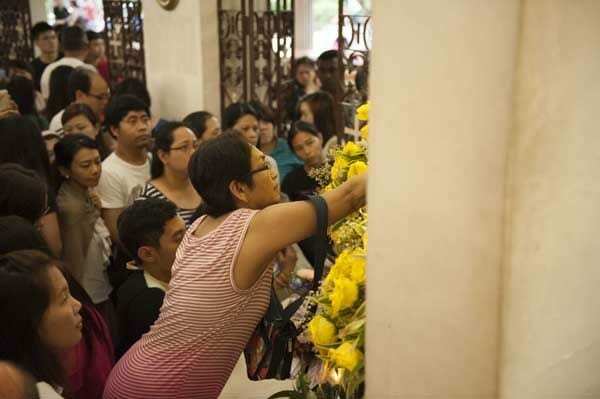 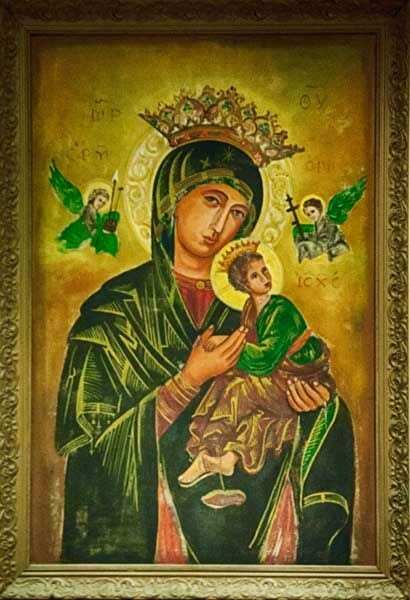 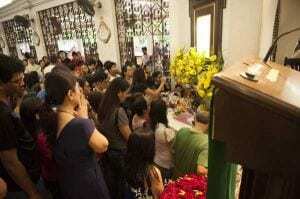 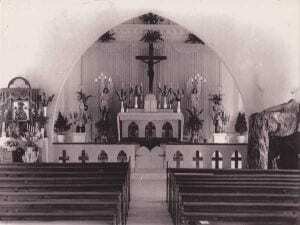 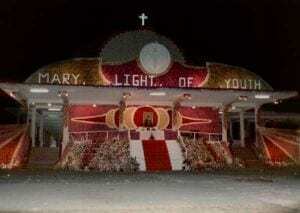 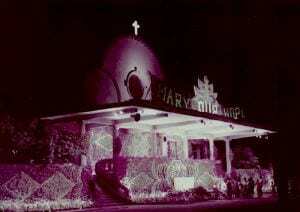 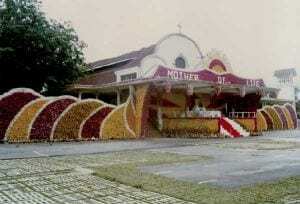 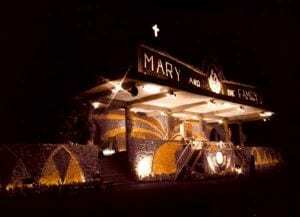 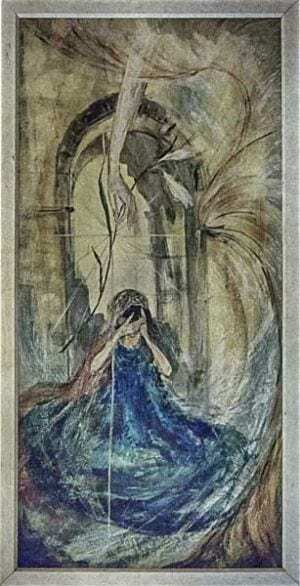 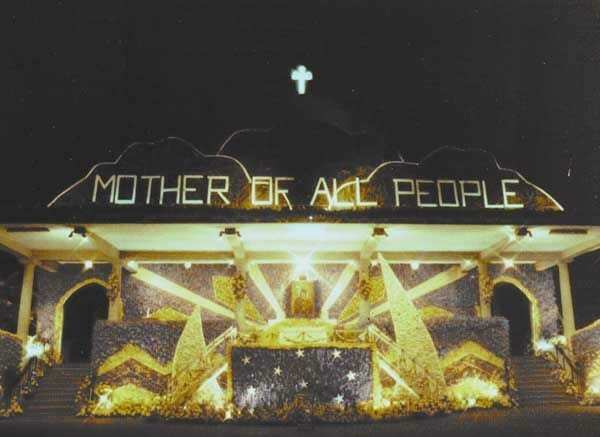 I started making weekly visits when I was 7, when my father took me along for the Saturday novena sessions. Five years on, I joined its youth group, Vine & Branches, together with my older sister. 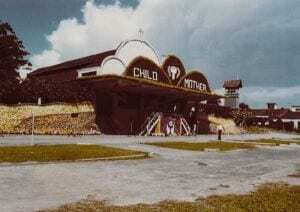 That was decades ago. 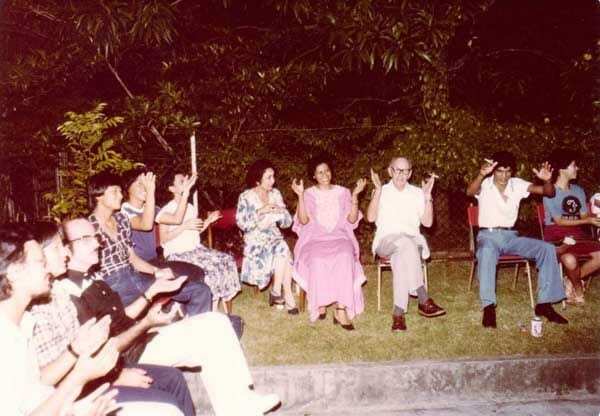 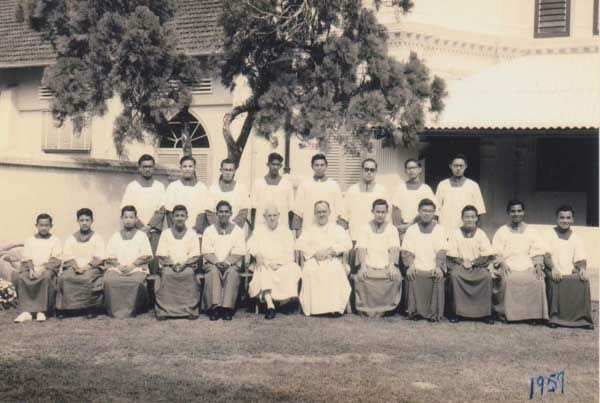 Since then, the religious fraternity and church members have become very much a part of my life, an extended family of sorts. 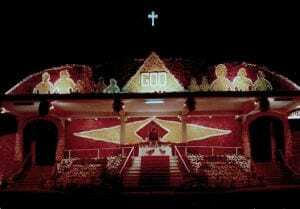 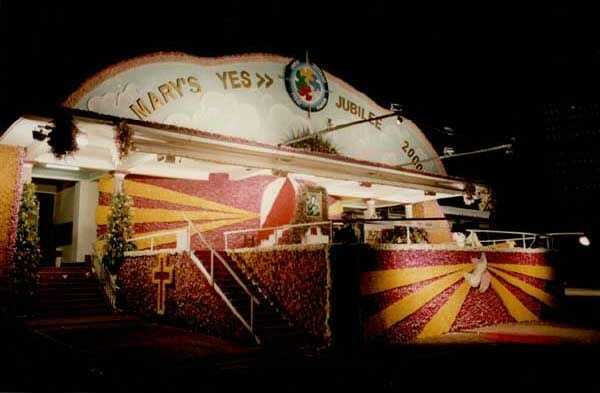 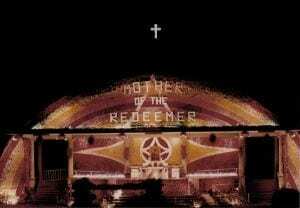 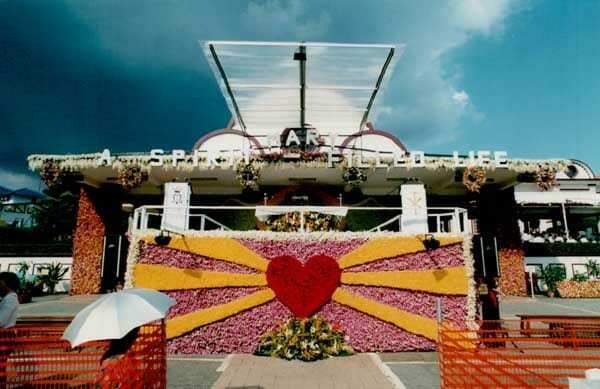 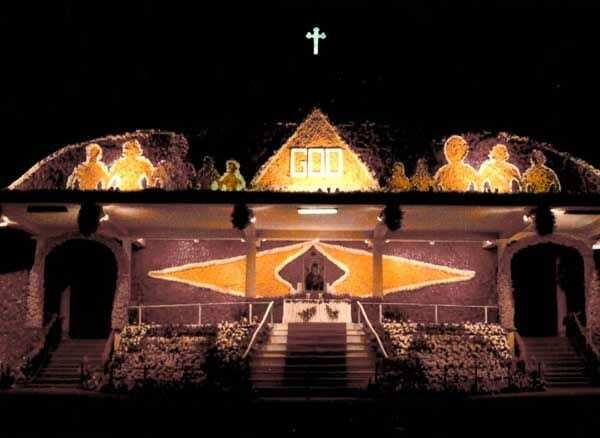 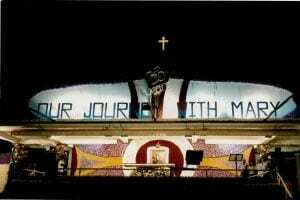 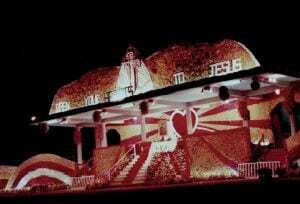 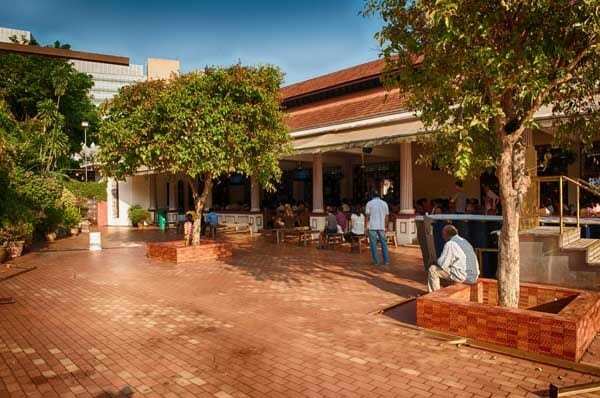 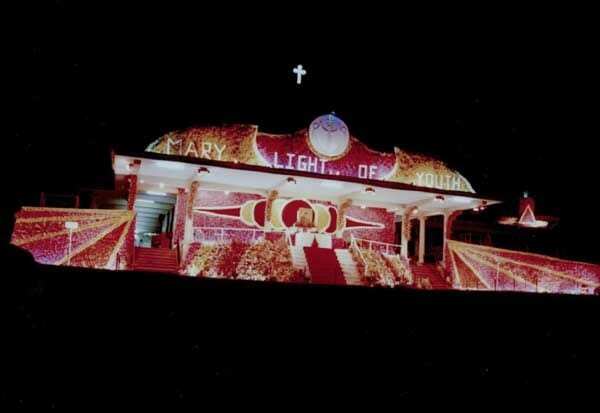 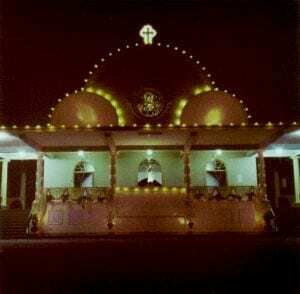 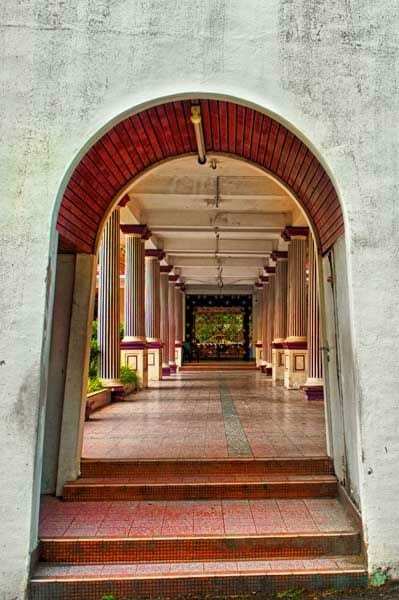 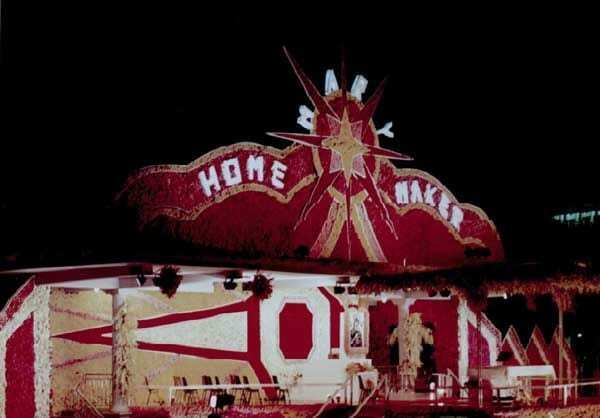 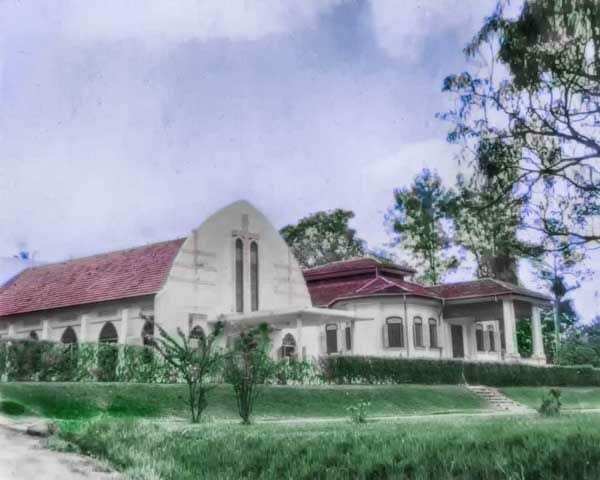 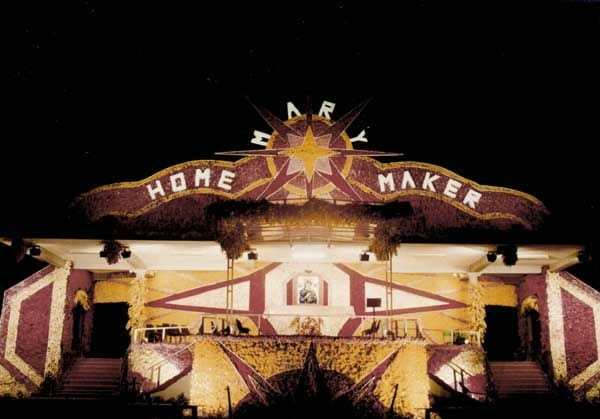 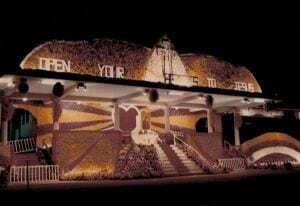 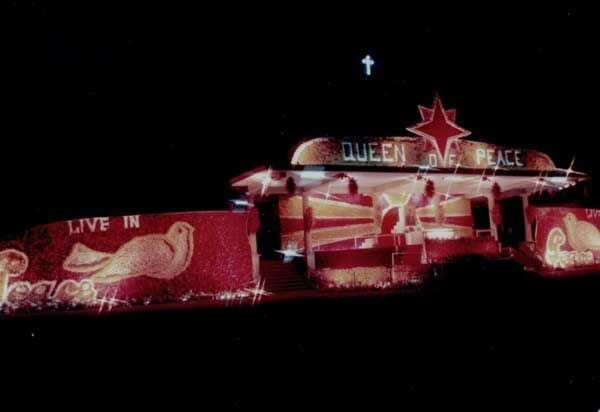 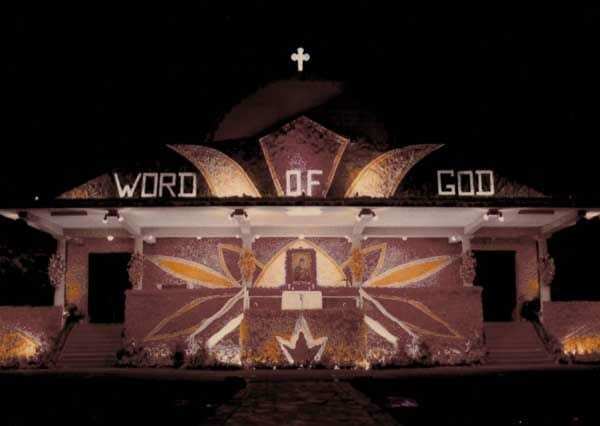 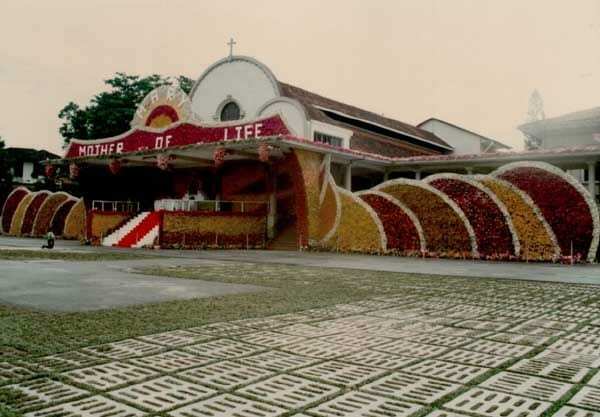 It’s where I formed some of my best friendships and made some of my best memories; it’s where I seek solace, hang out, help out, attend services, particularly at my favourite times of the year like Christmas, Easter and New Year. 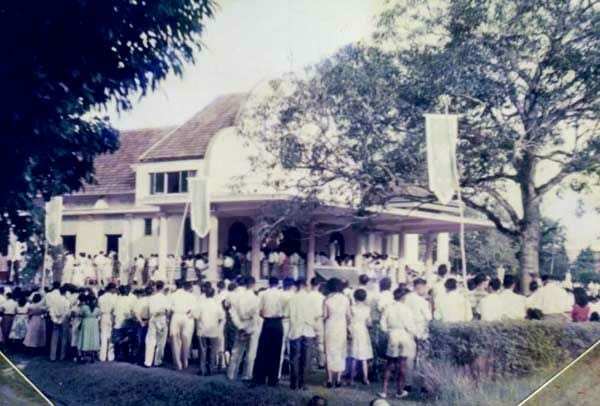 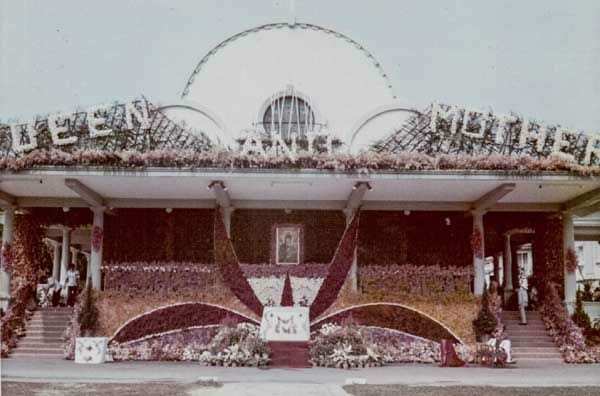 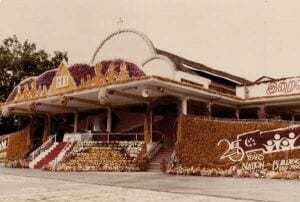 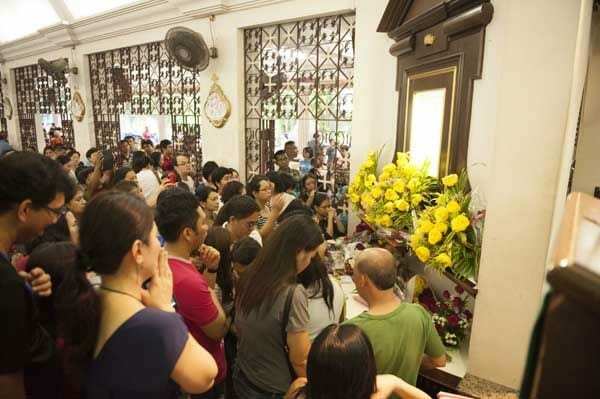 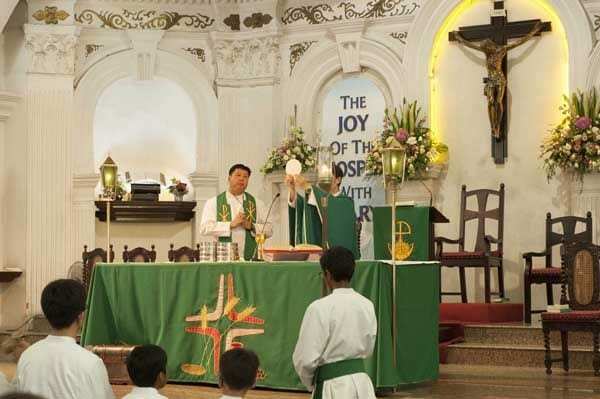 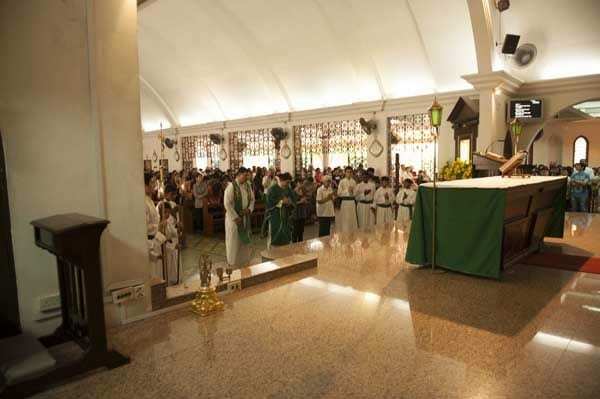 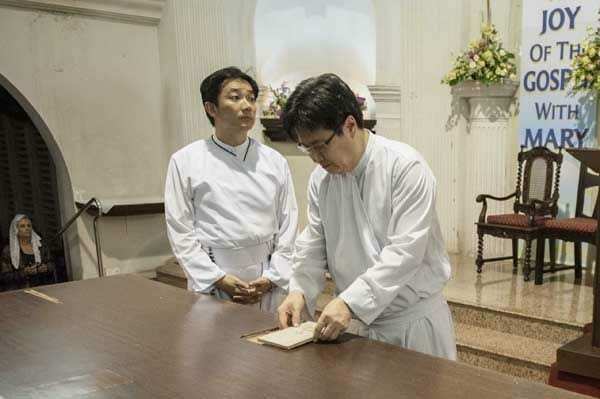 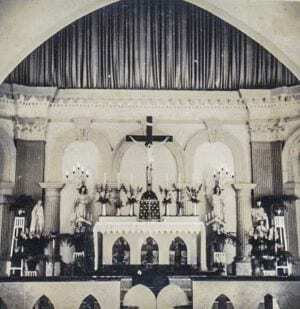 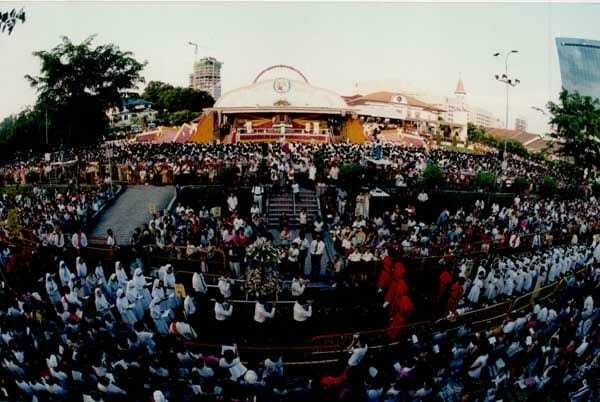 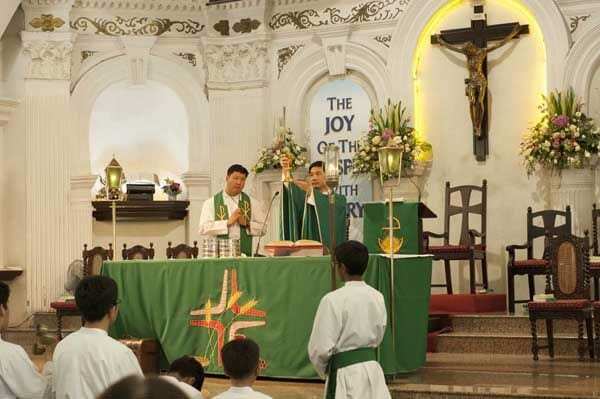 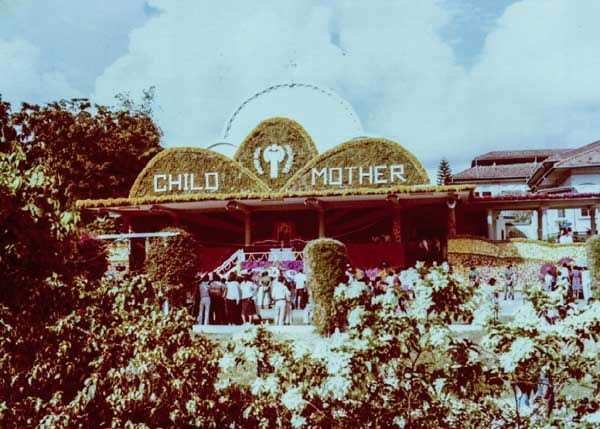 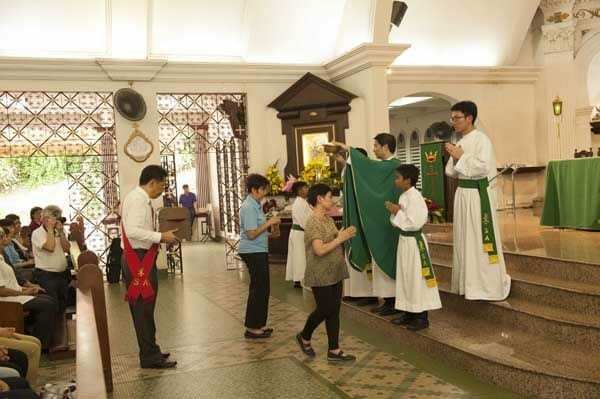 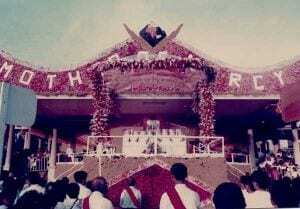 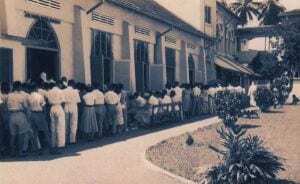 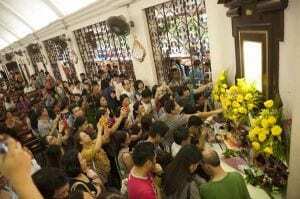 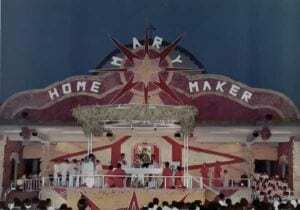 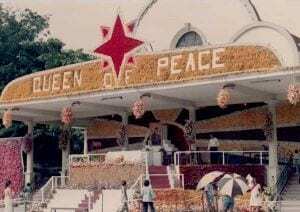 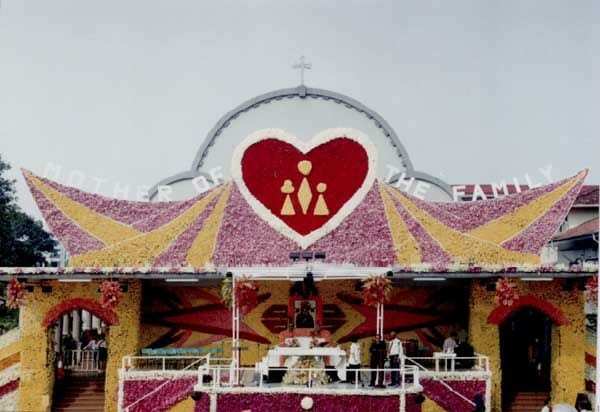 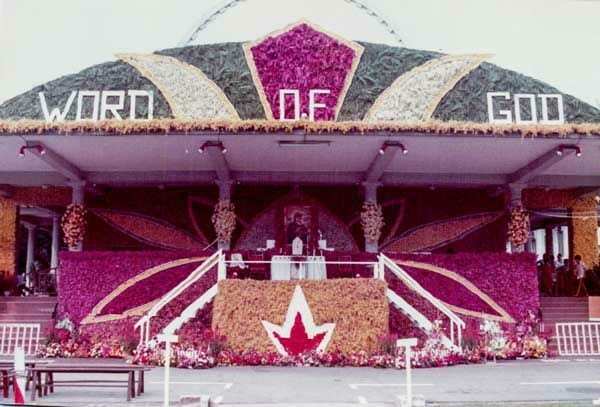 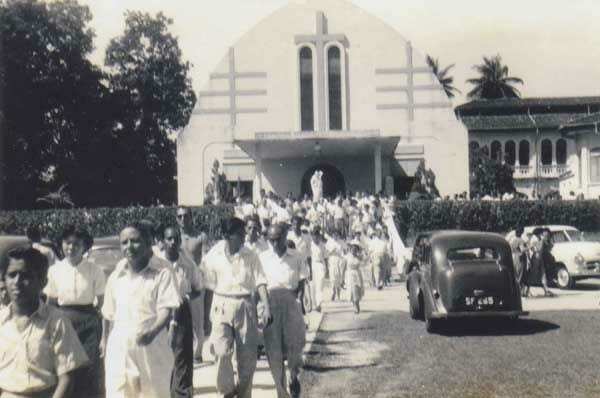 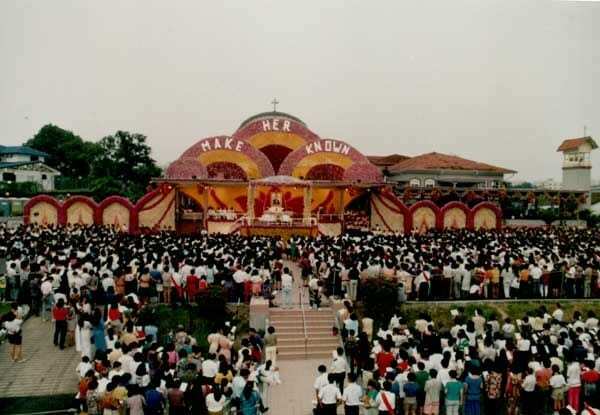 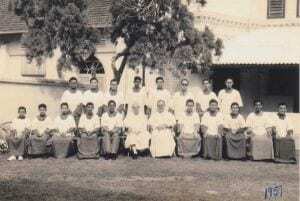 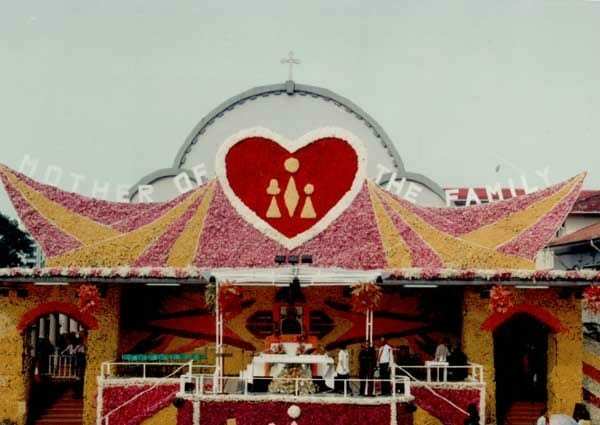 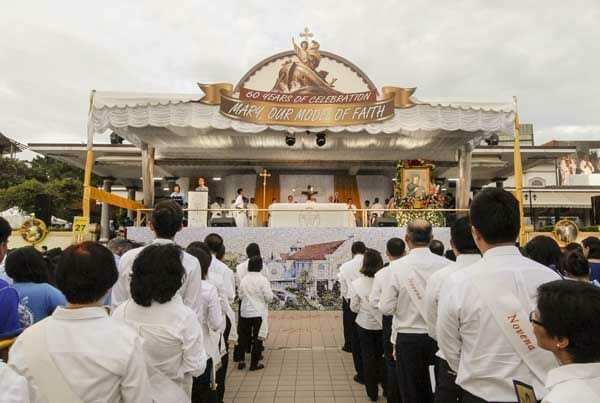 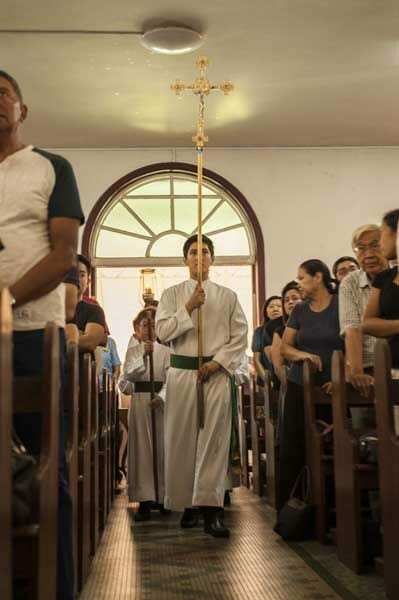 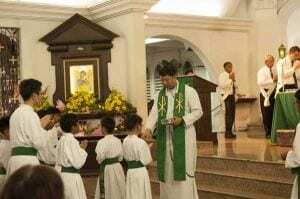 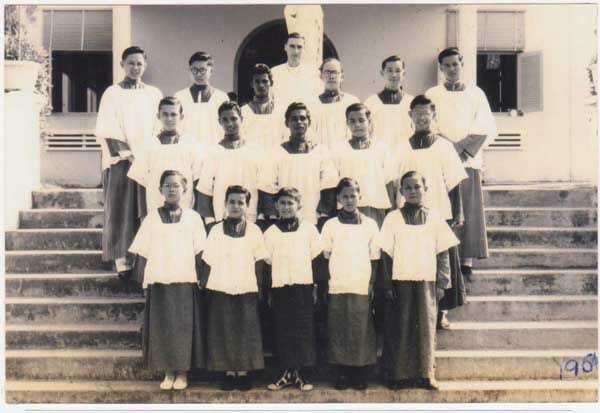 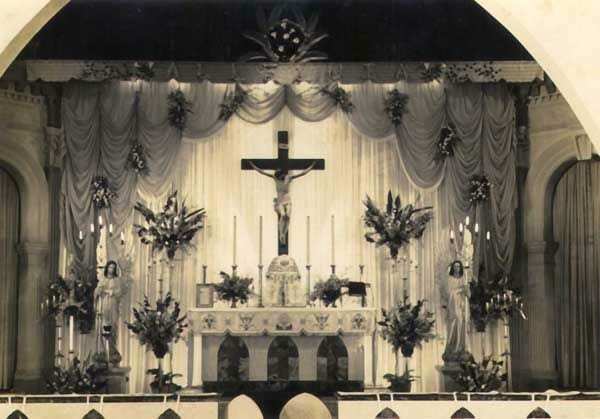 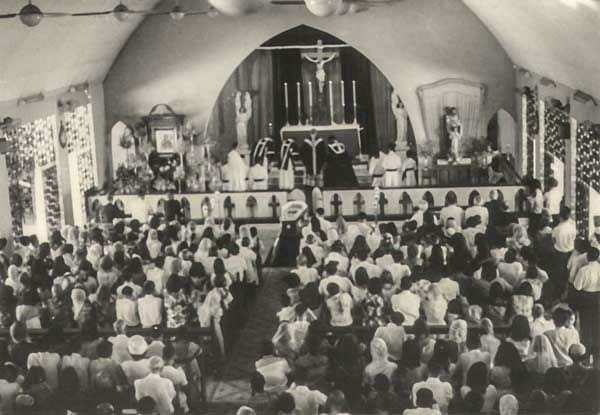 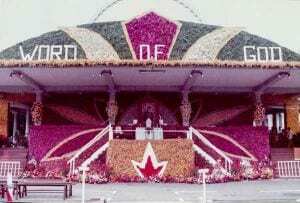 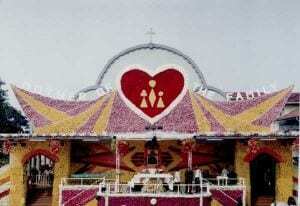 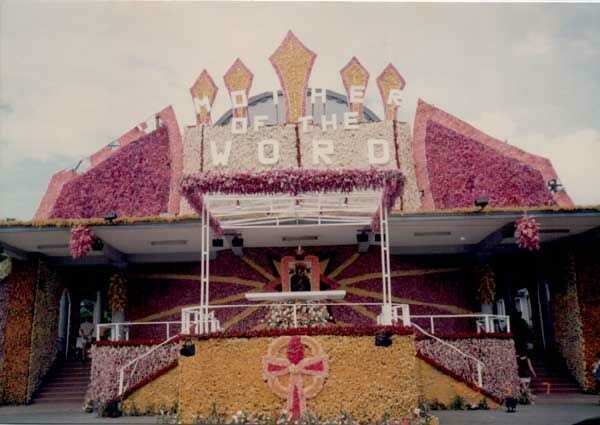 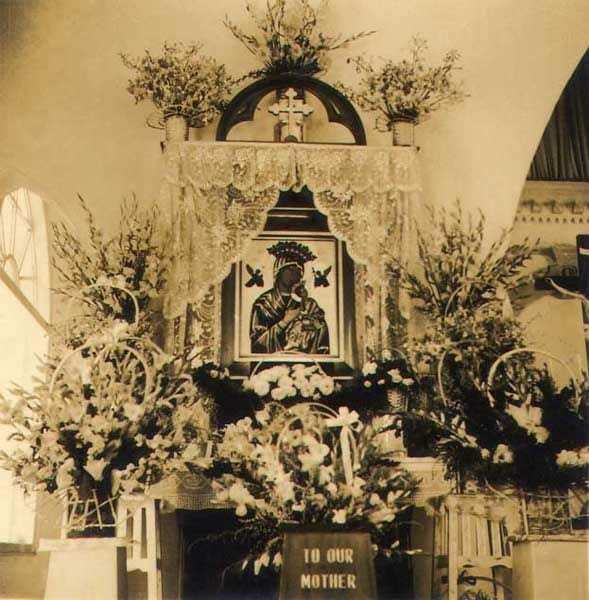 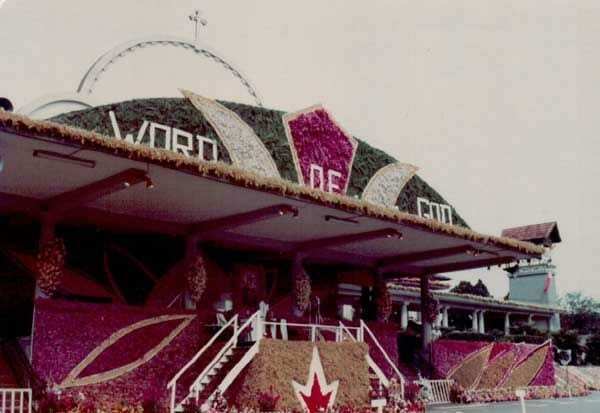 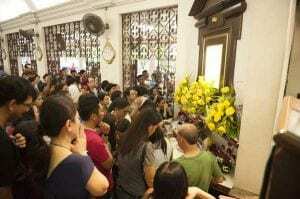 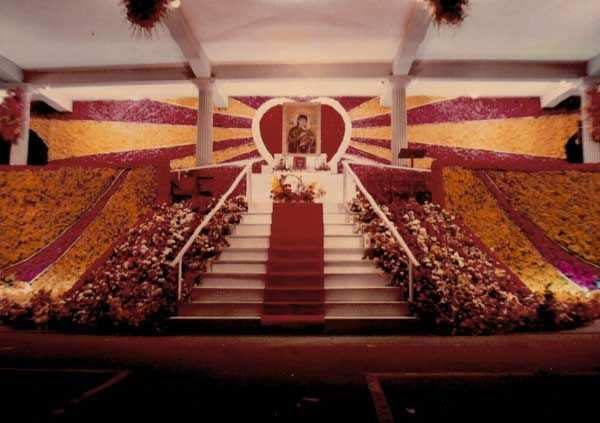 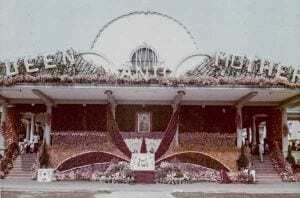 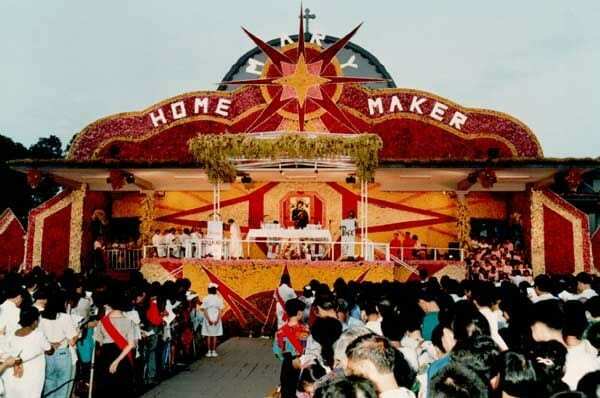 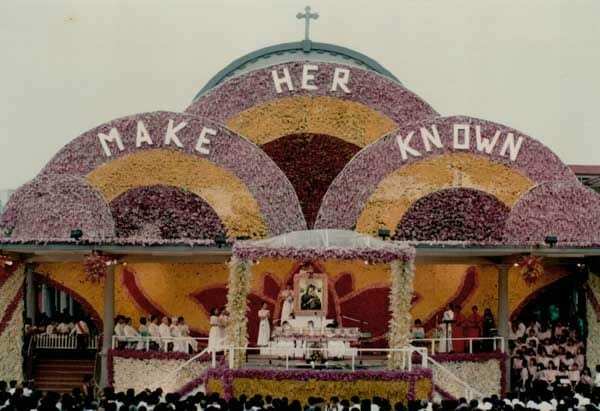 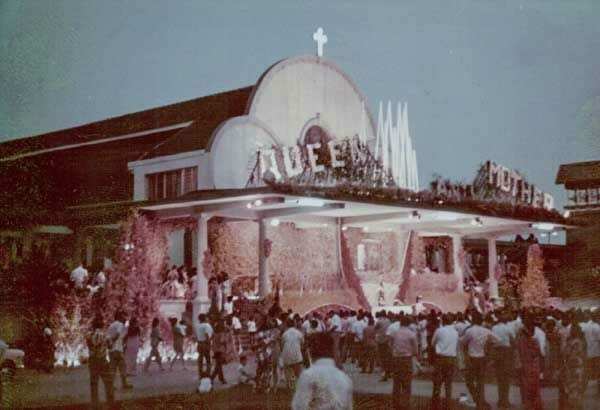 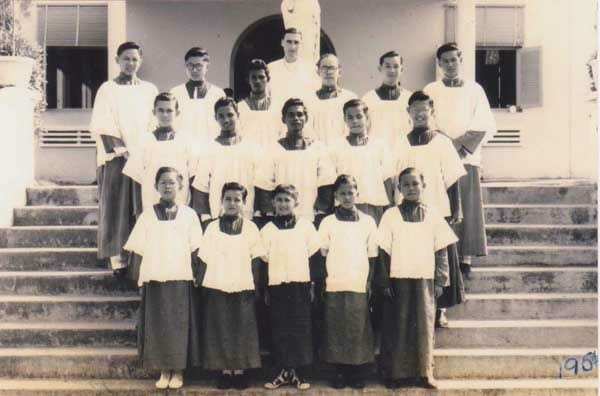 I believe a key part of Novena Church in our hearts is its Annual Procession, held every first Sunday in September, except for the inaugural celebration when it was started on 21 June 1953. 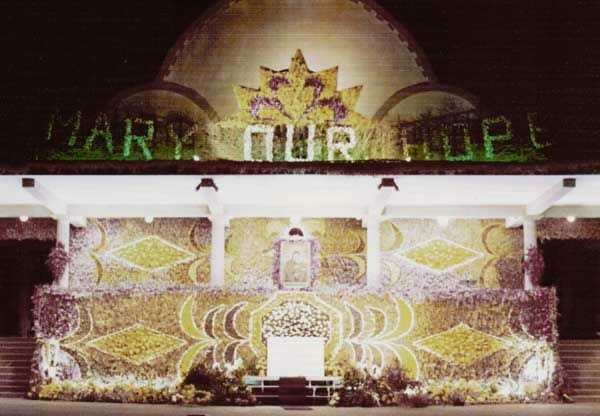 How we loved putting up the floral walls, the camaraderie formed as strangers came together to help stick thousands of colourful blooms into green walls of ferns. 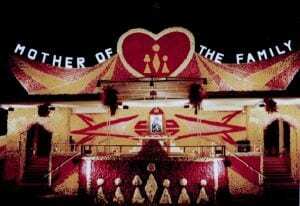 Our hearts swelled with pride and joy as friends and families were chosen as flower girls, page boys and crowning queens. 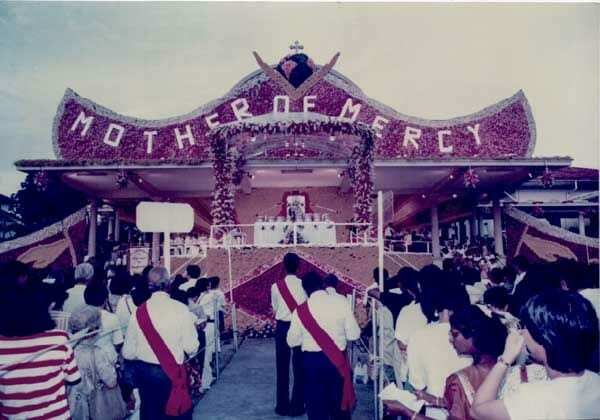 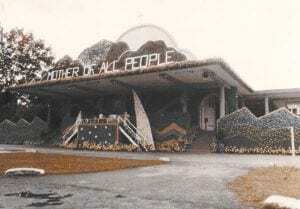 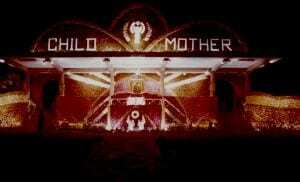 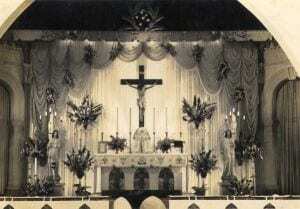 Here are some photos of past processions, some way before my time. 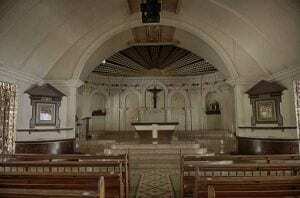 So, it was with much sadness and regret when I received news 3 years ago that the church is going to go under major redevelopment, involving a shutdown of the premises for 2 1/2 to 3 years. 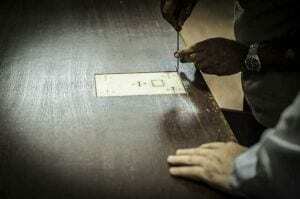 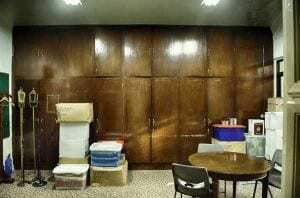 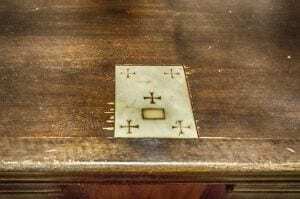 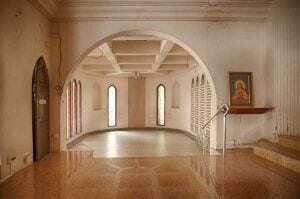 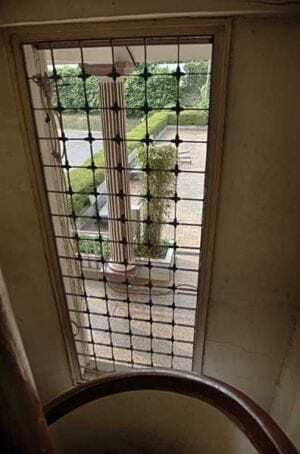 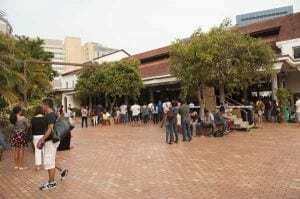 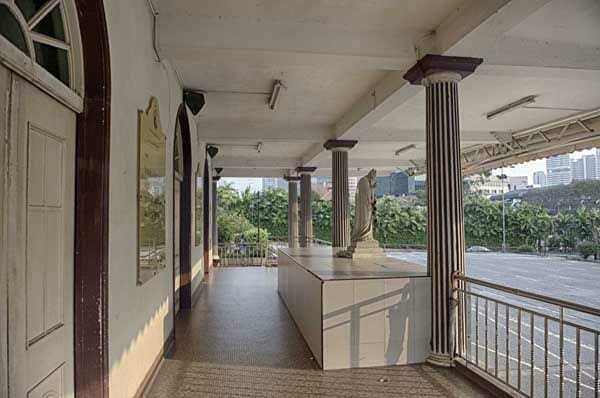 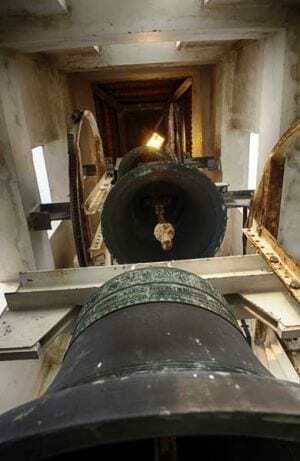 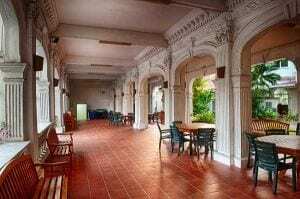 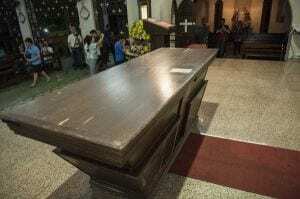 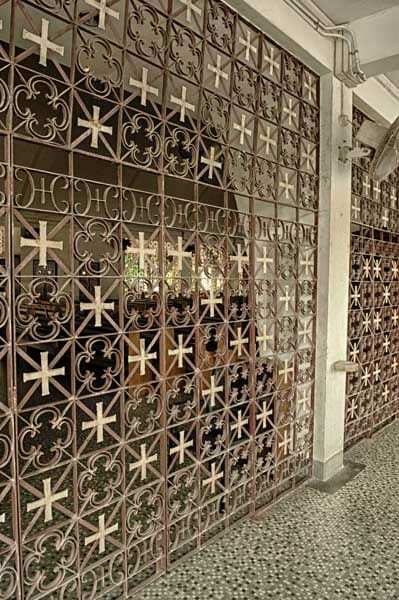 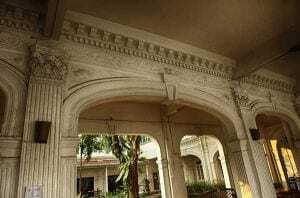 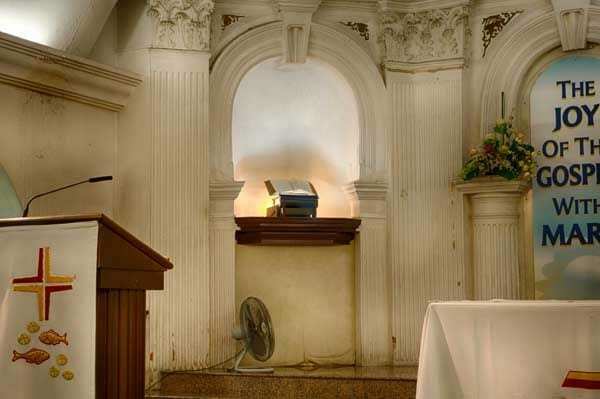 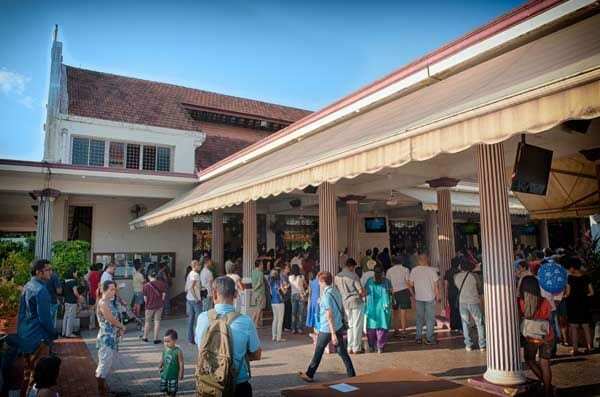 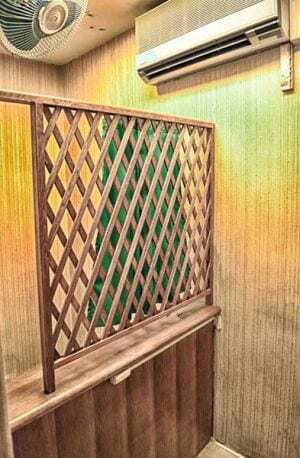 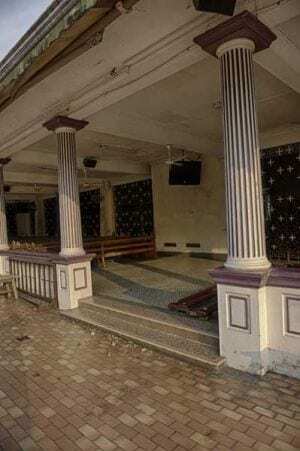 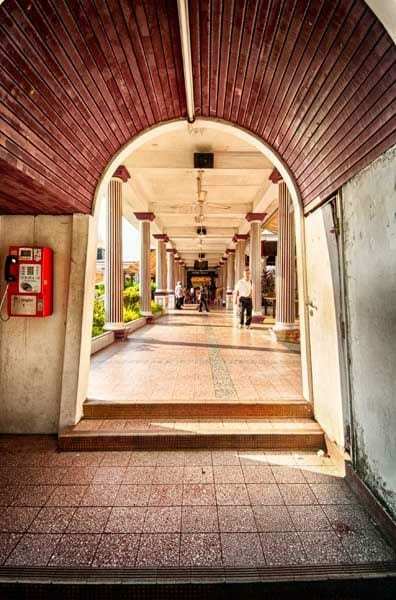 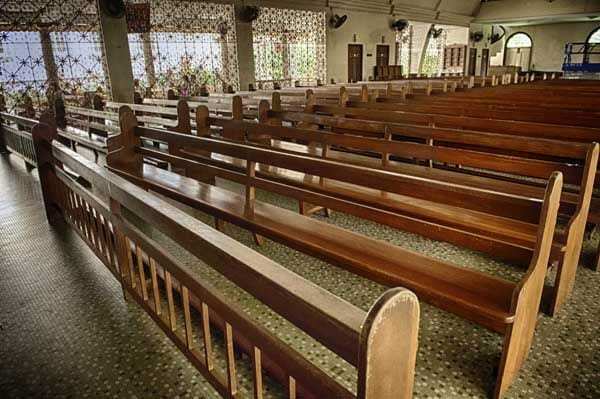 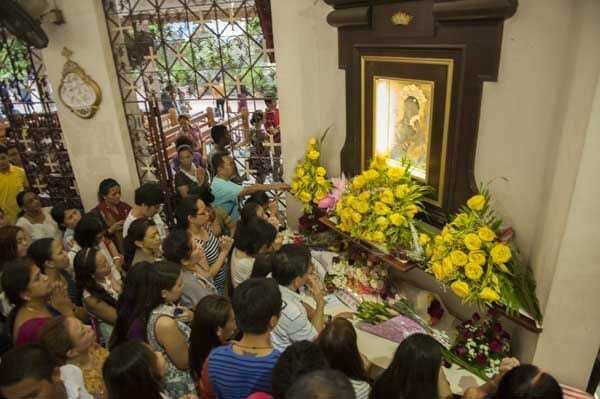 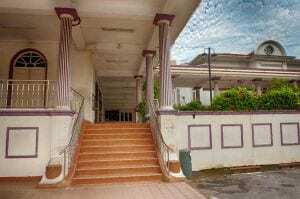 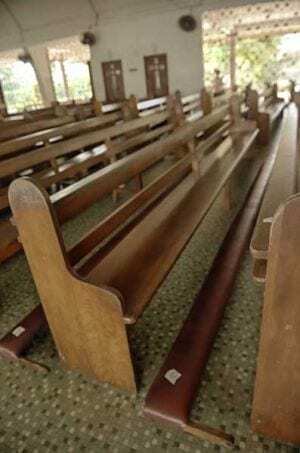 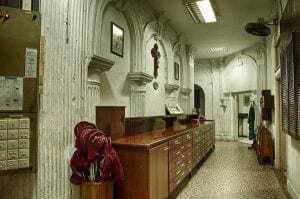 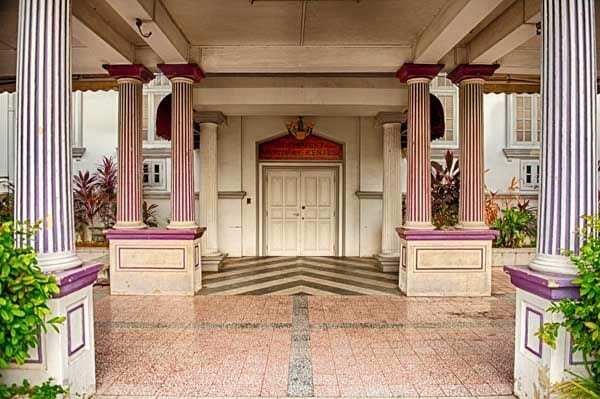 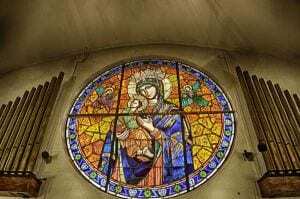 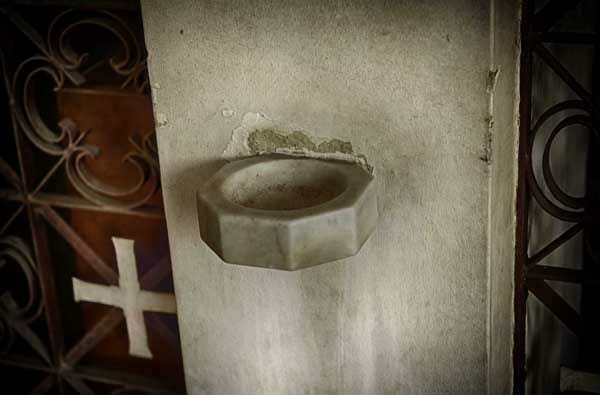 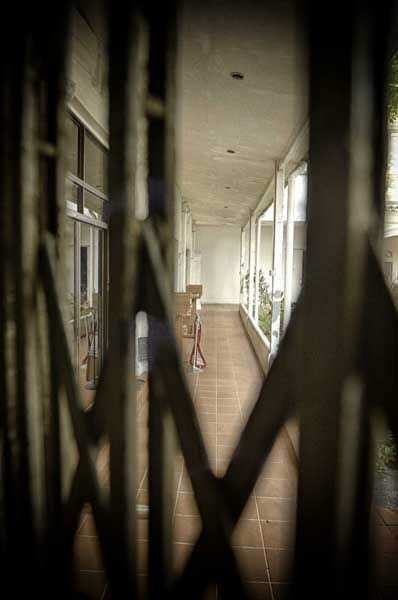 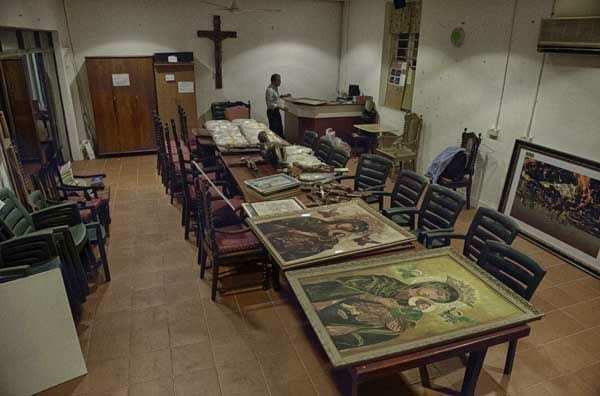 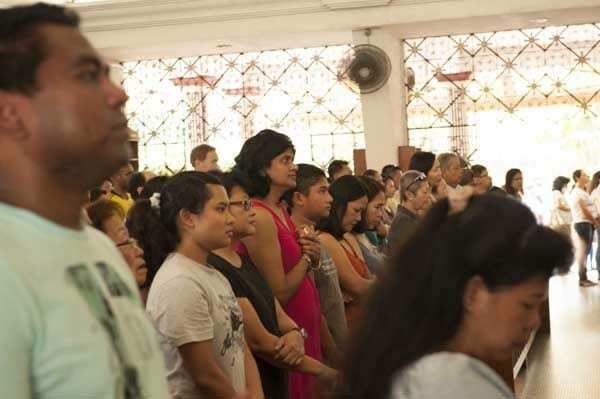 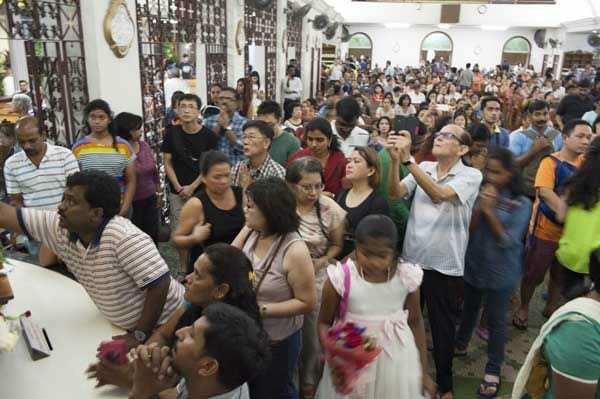 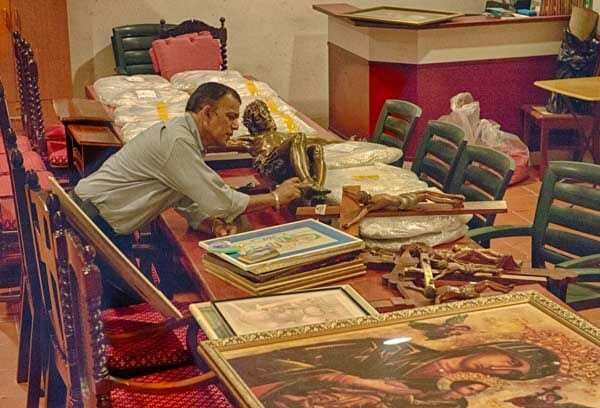 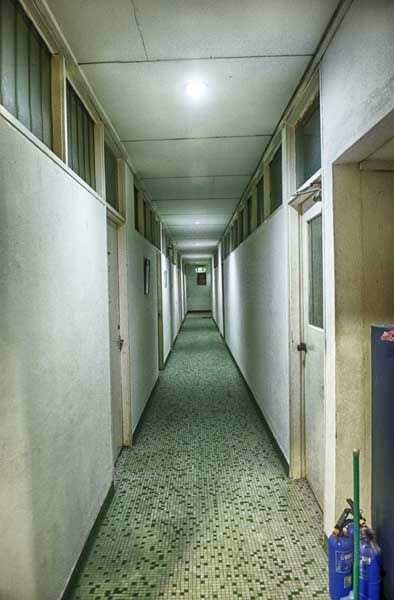 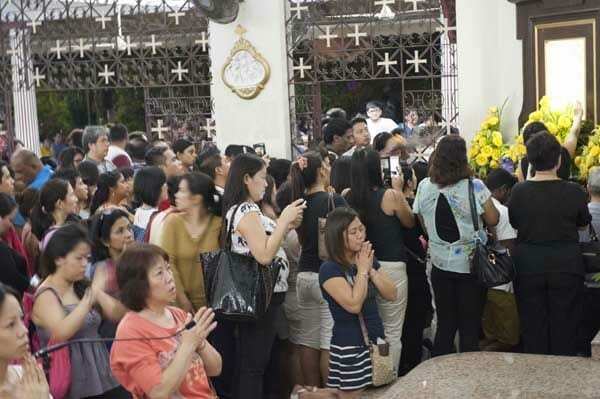 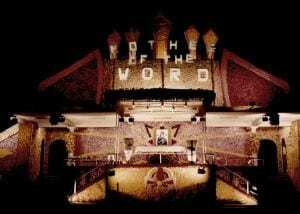 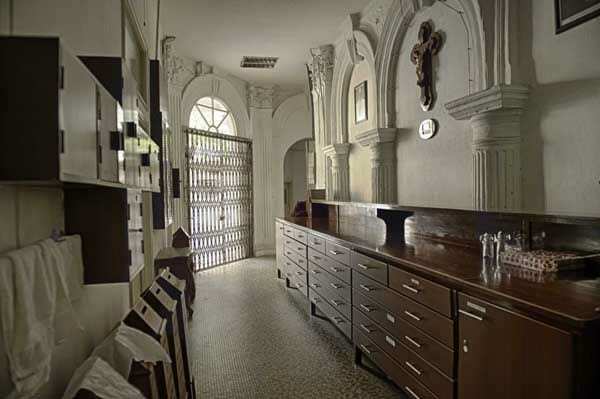 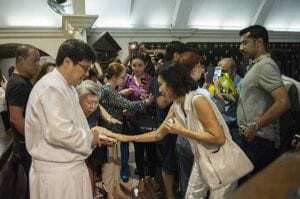 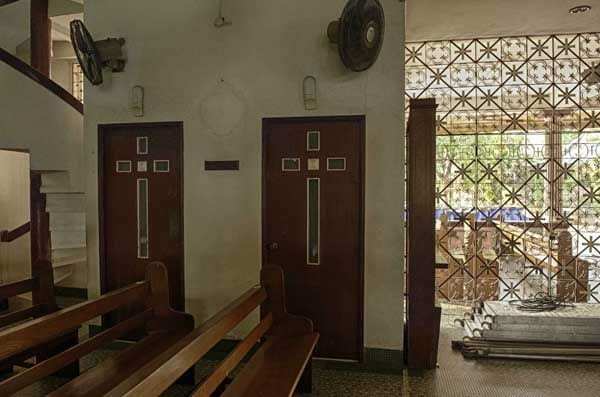 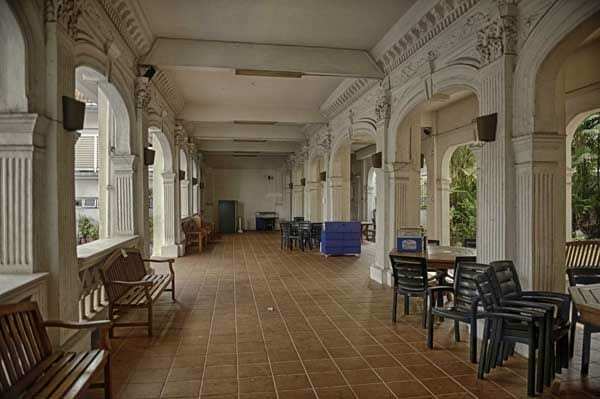 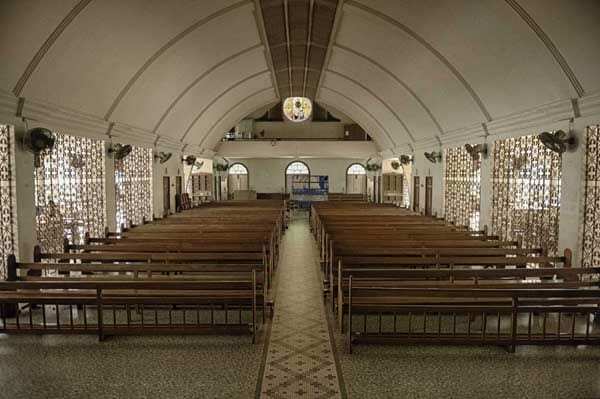 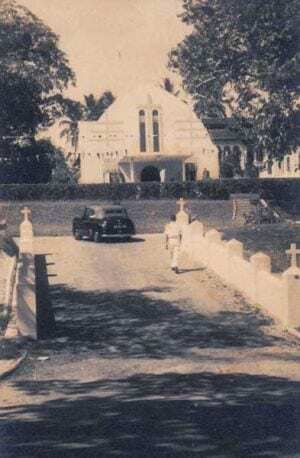 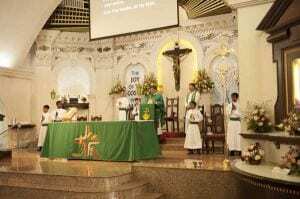 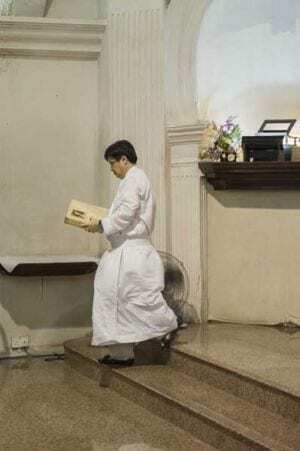 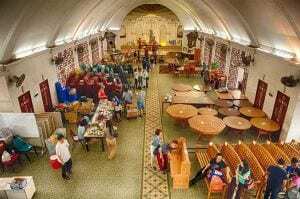 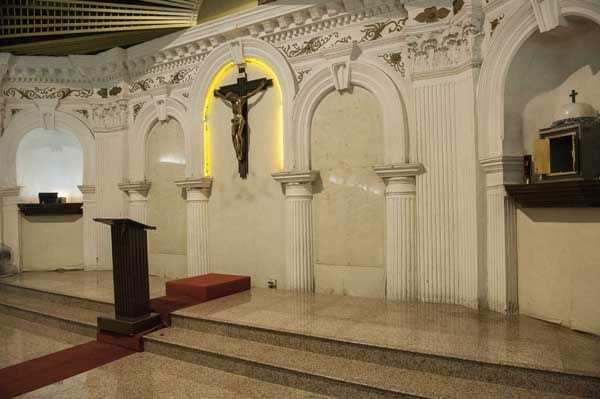 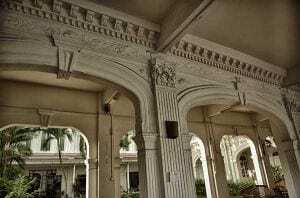 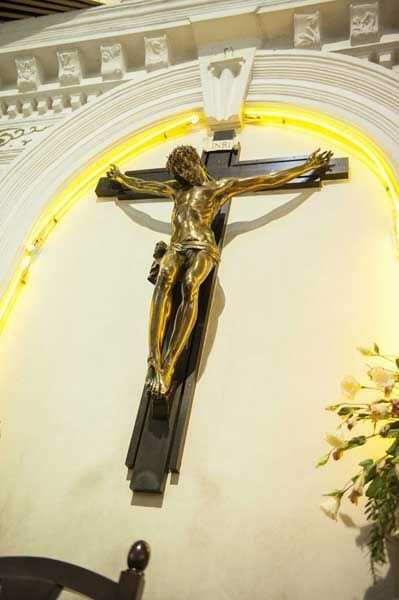 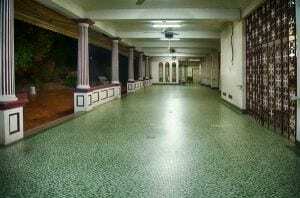 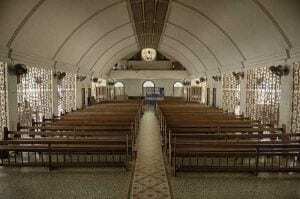 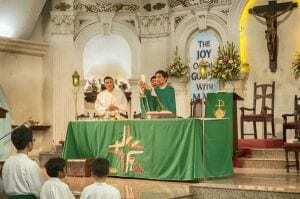 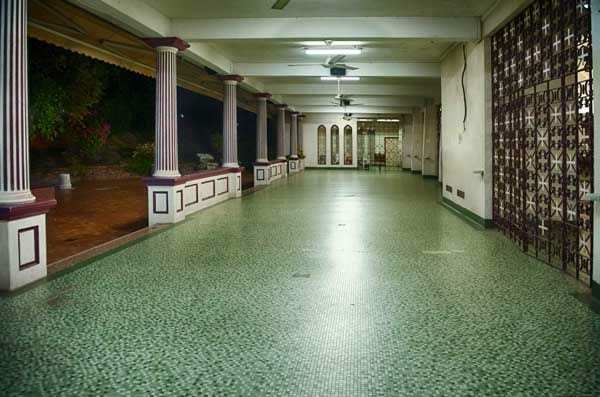 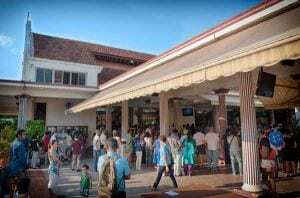 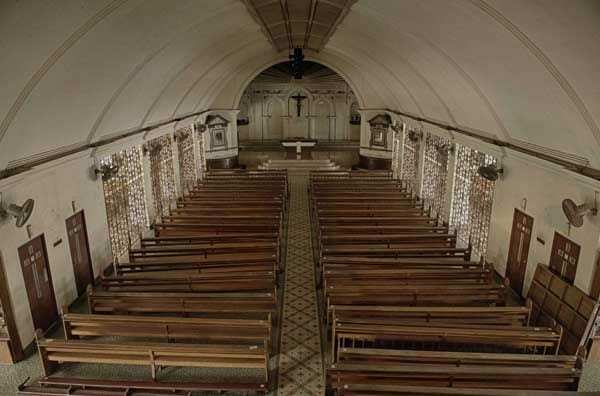 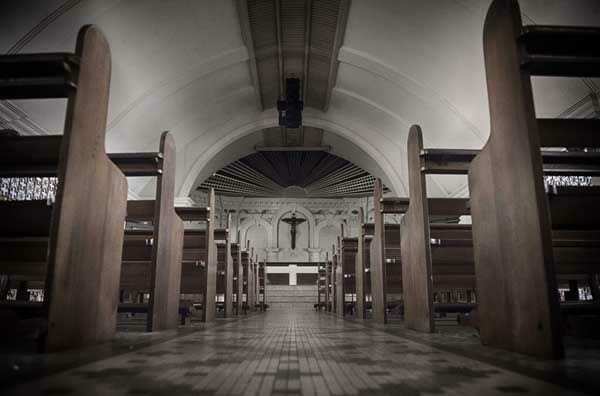 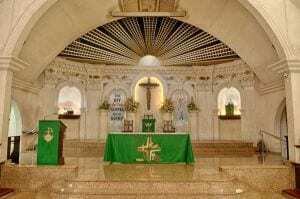 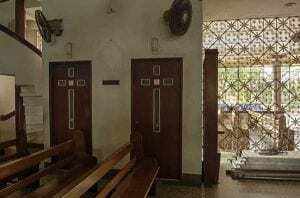 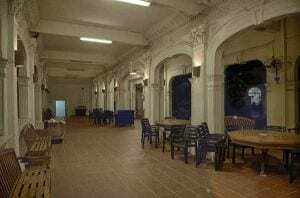 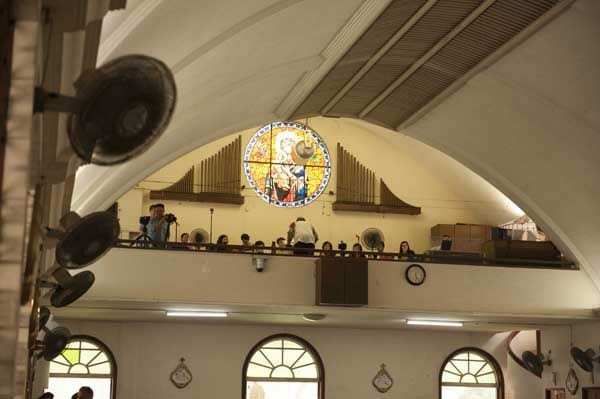 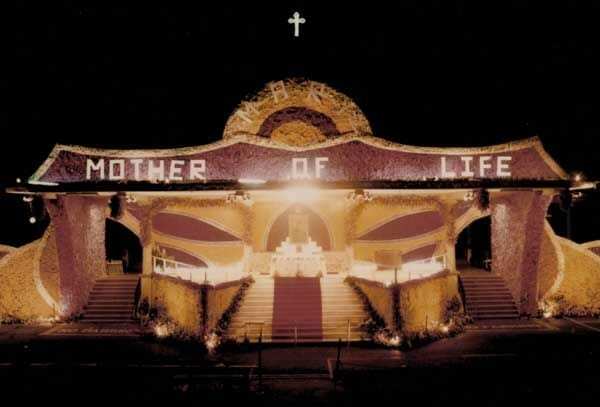 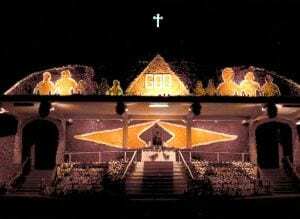 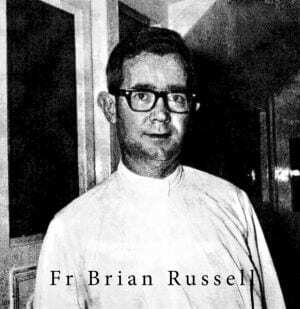 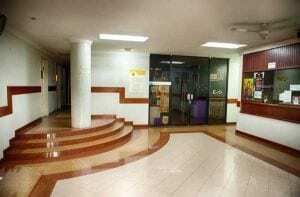 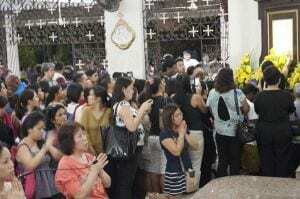 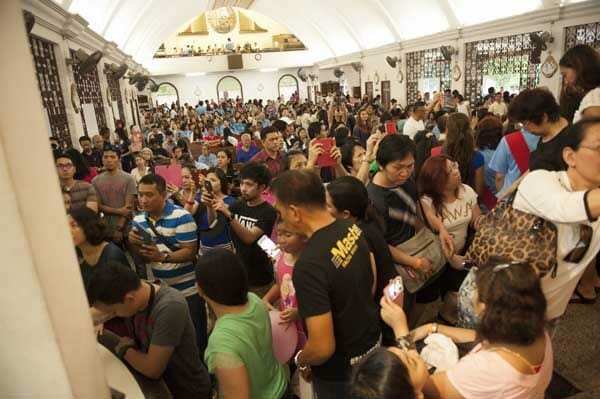 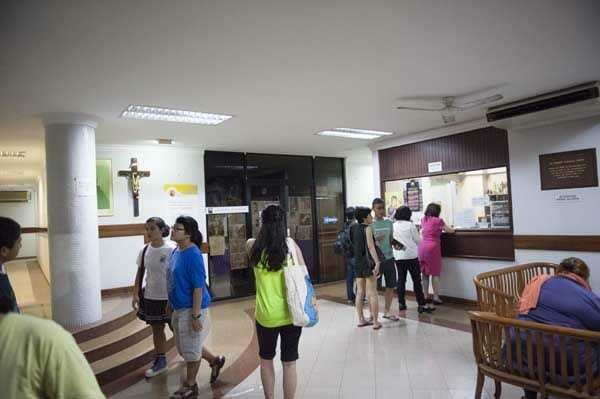 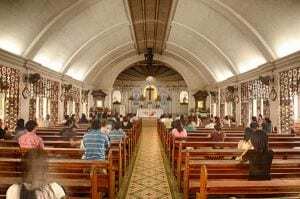 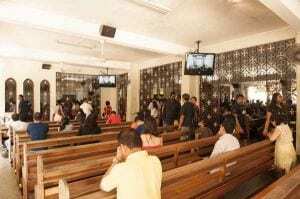 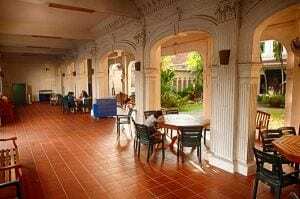 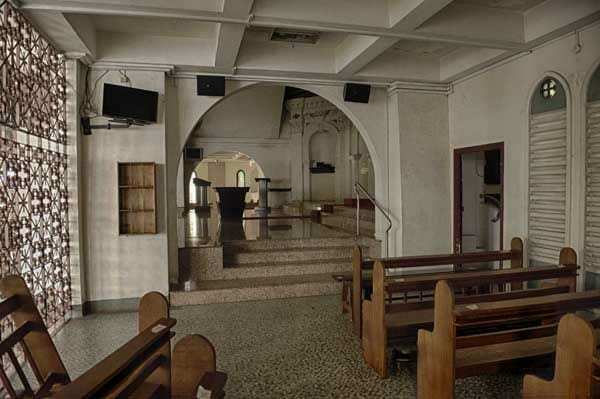 Many reasons are offered for the $45 million renovation, primarily because the numbers attending the church have swollen through the years, way beyond capacity, so much so the crowds constantly spill over onto the verandah and the carpark. 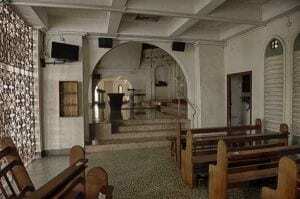 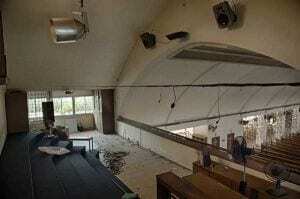 Another pressing reason is that the 64 year old church is in desperate need of repairs and refitting. 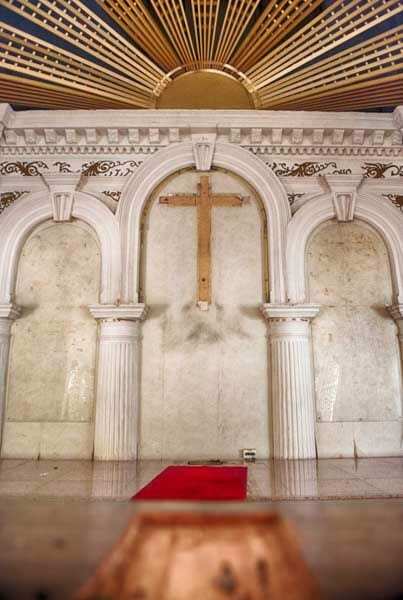 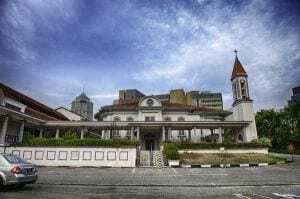 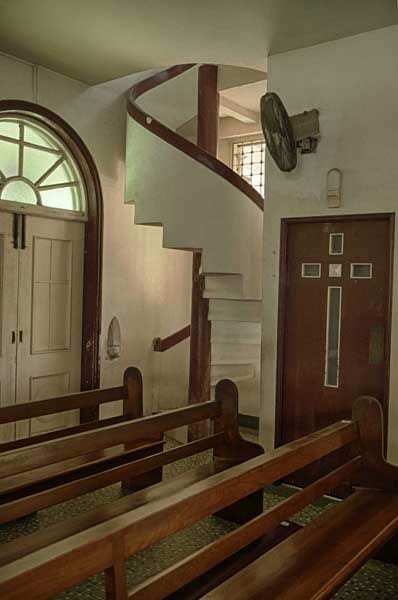 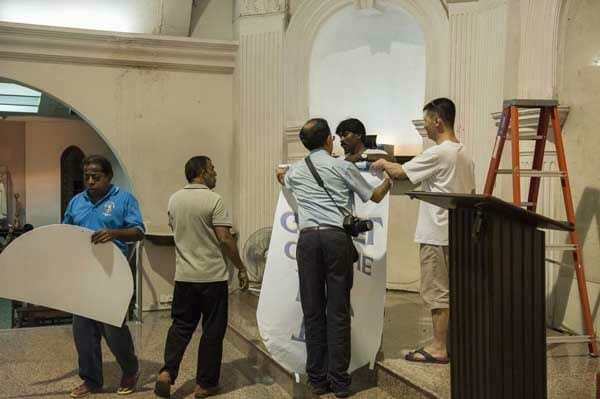 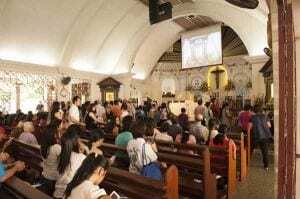 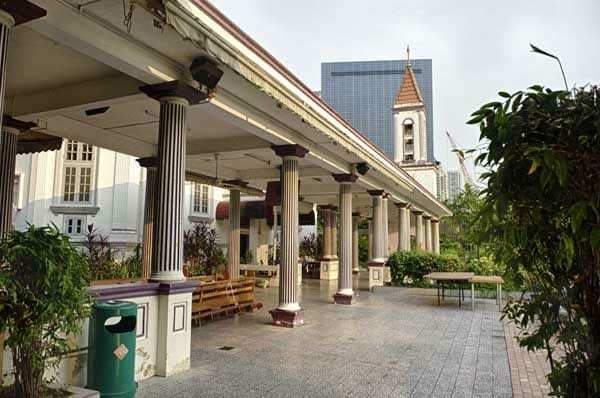 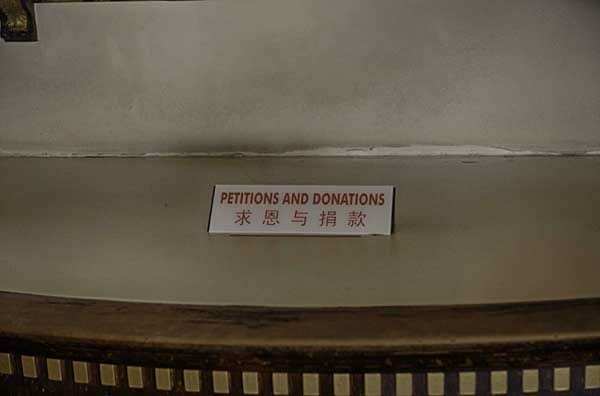 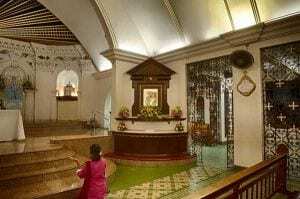 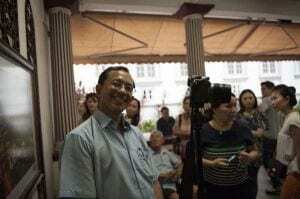 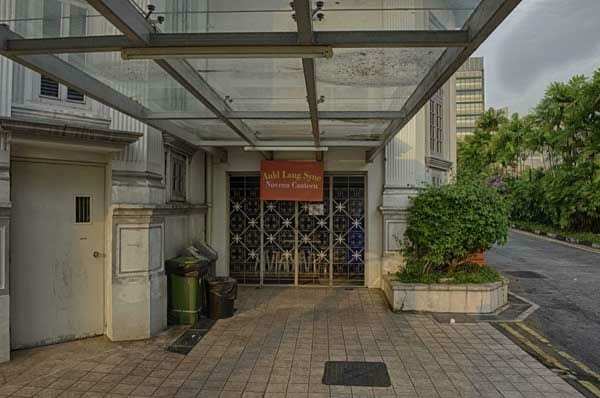 Because Novena Church is a gazetted heritage building, none of the main parts can be demolished or modified, and utmost care must be taken to build the new church around the existing structures. 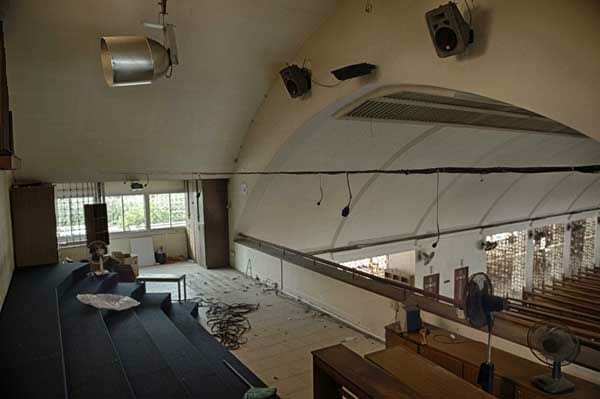 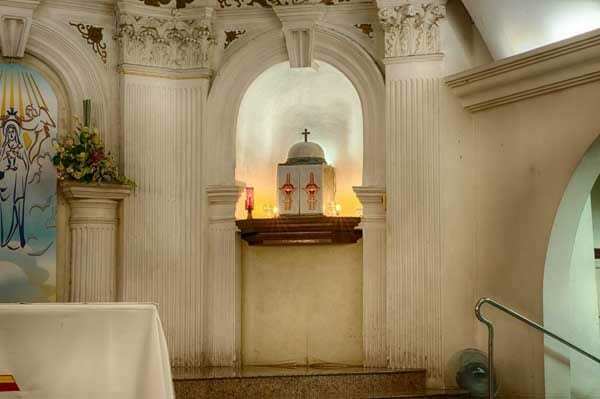 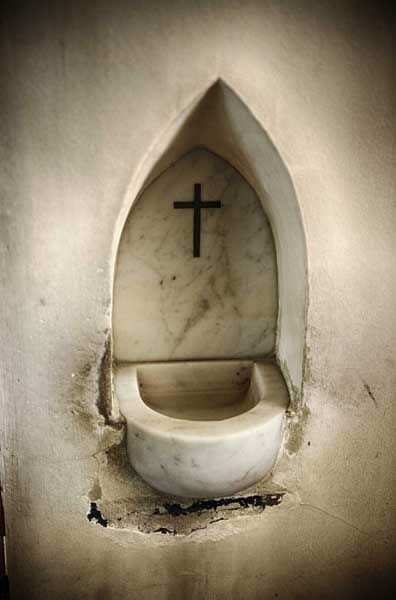 Other plans afoot include full air-conditioning, a basement carpark with its accompanying passenger lifts, a new altar with tiered seating and a dome with skylights, a multi-purpose hall, new meeting rooms, a new grotto, a new bell tower and a basement canteen with expanded seating capacity. 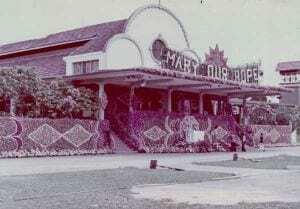 Like many, I was upset over the impending changes. 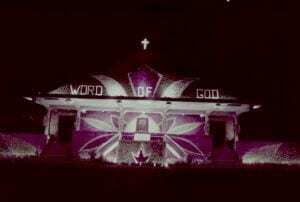 Novena Church has been my constant through the years. 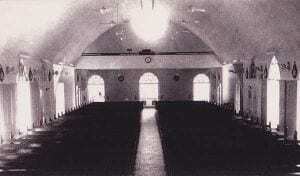 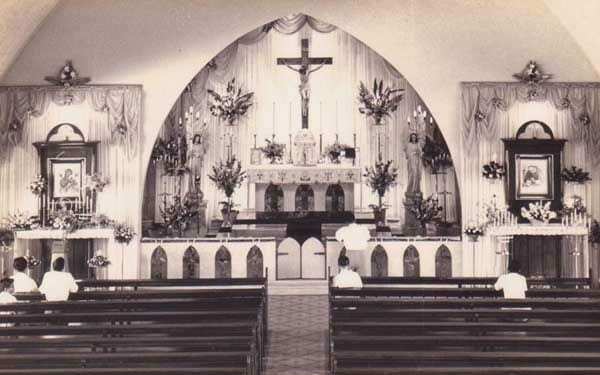 It will no longer be the church I remember and love so well. 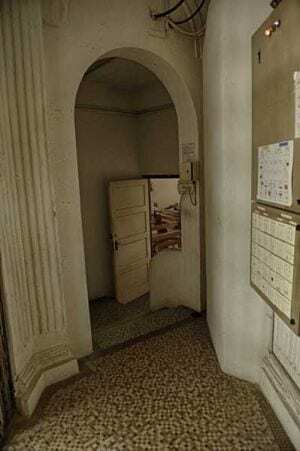 My old haunts, the nooks and crannies, will be gone forever. 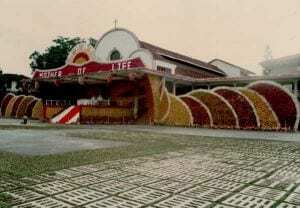 Things will no longer be the same. 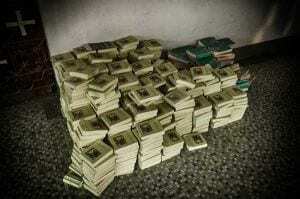 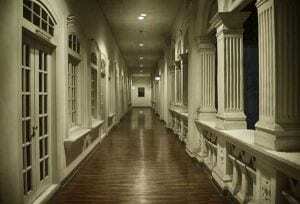 But change is inevitable if we seek progress. 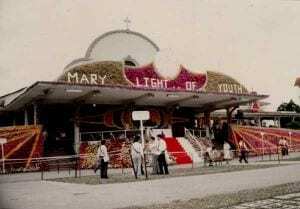 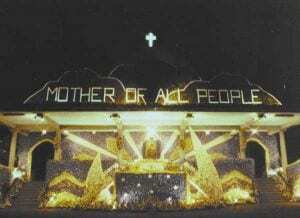 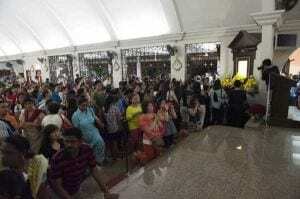 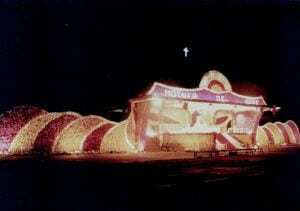 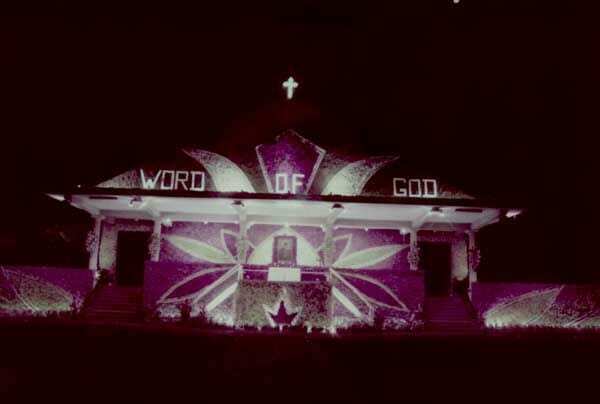 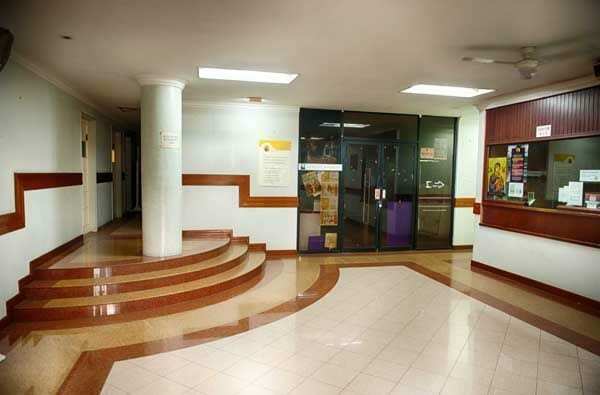 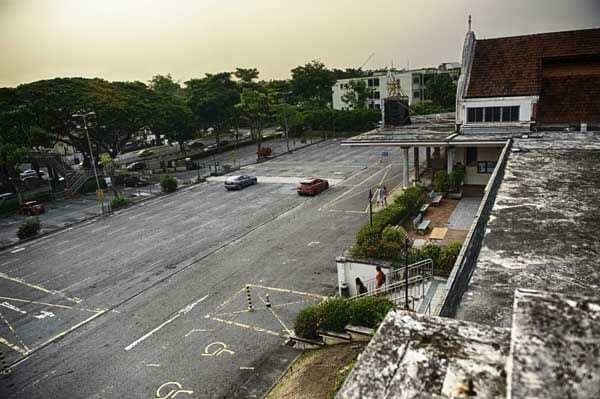 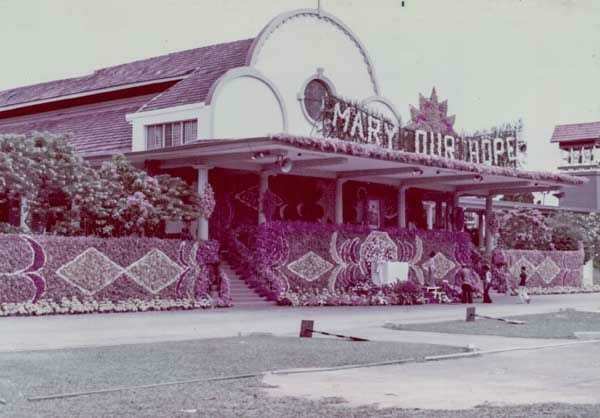 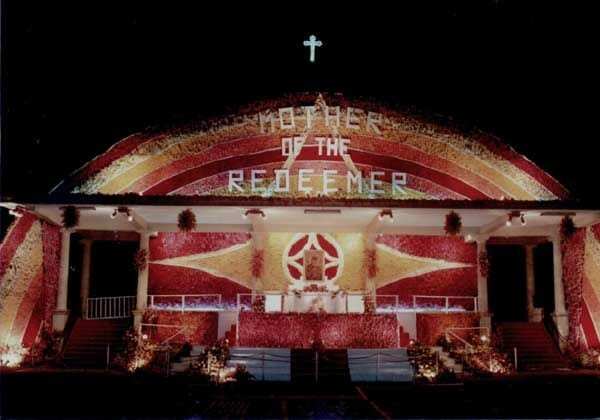 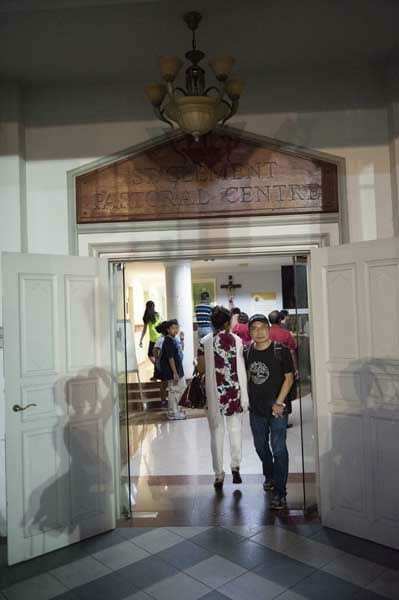 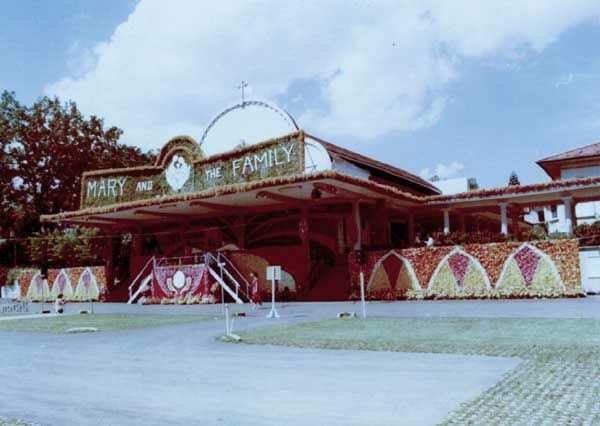 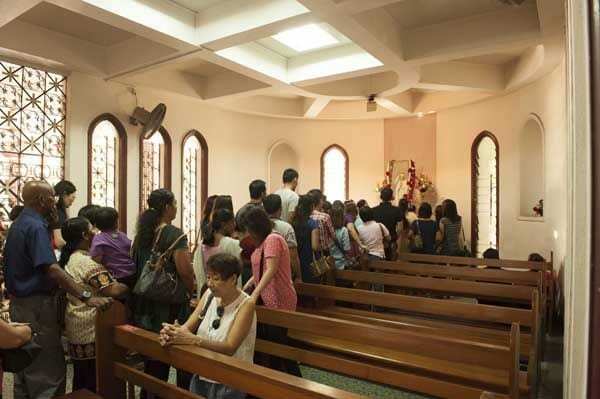 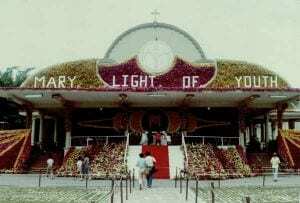 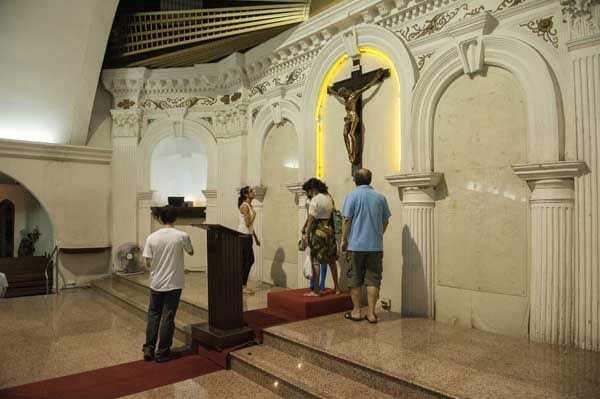 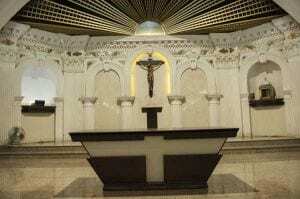 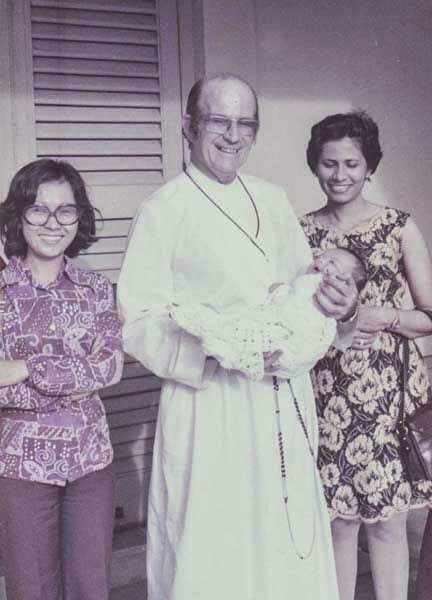 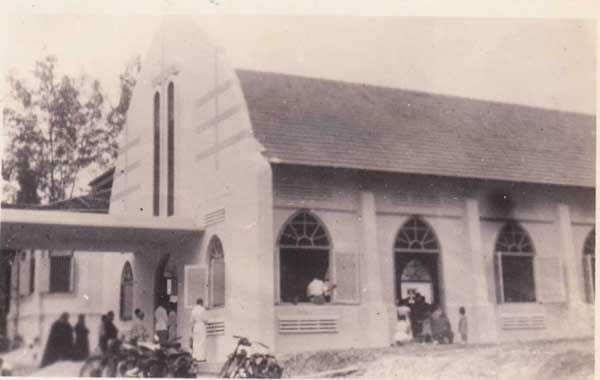 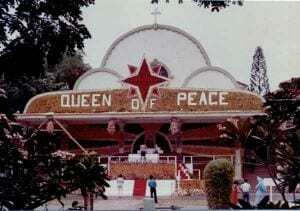 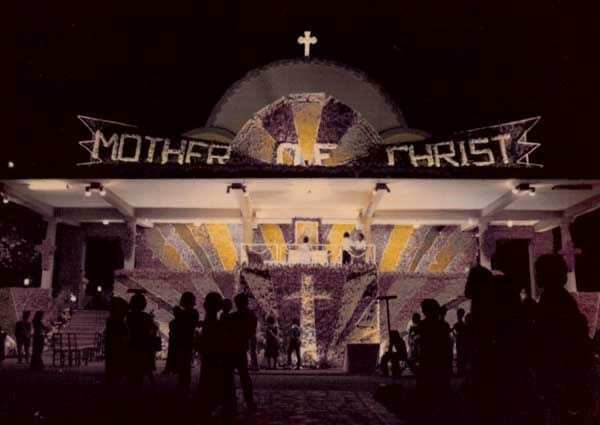 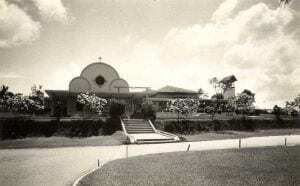 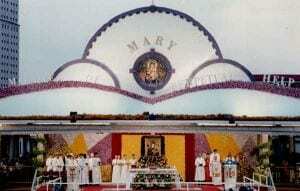 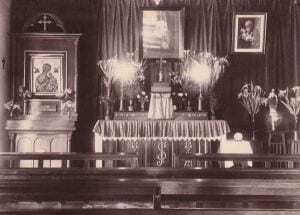 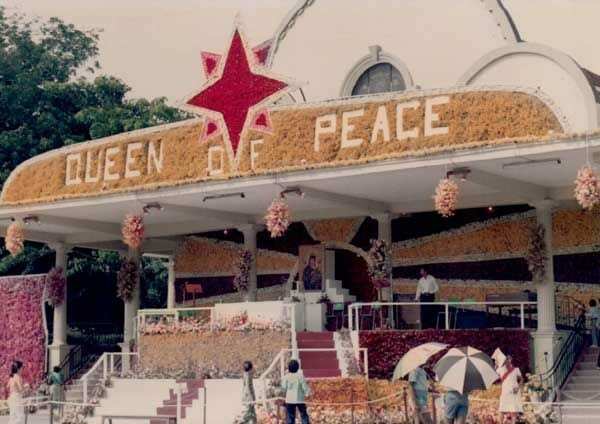 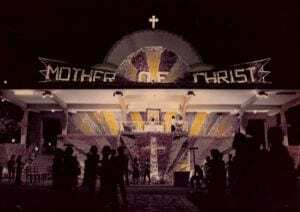 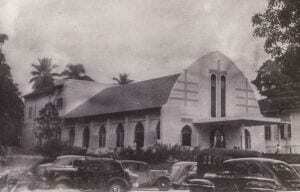 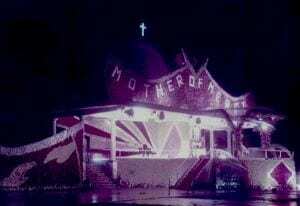 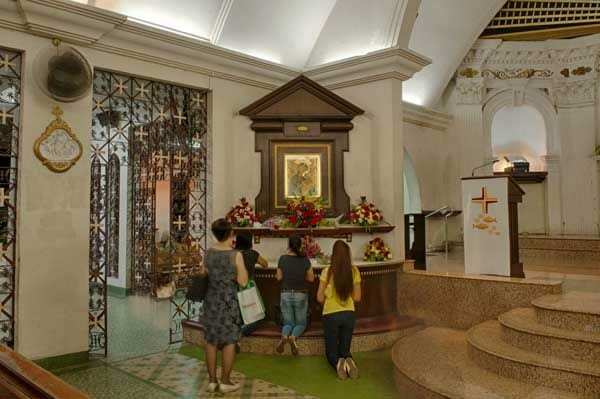 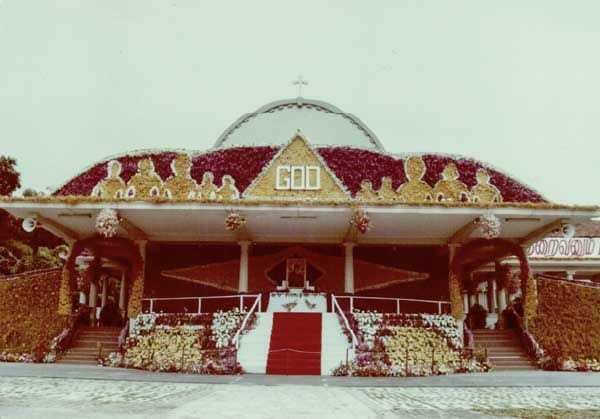 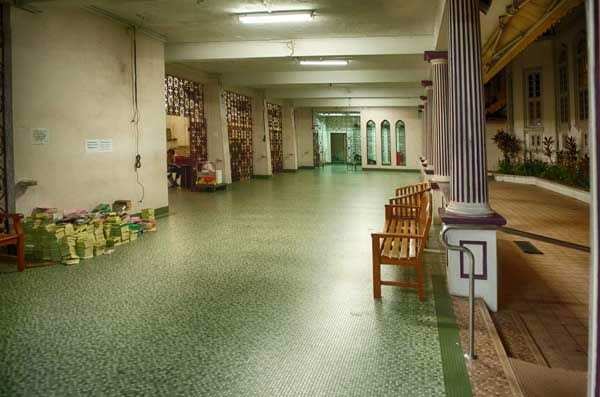 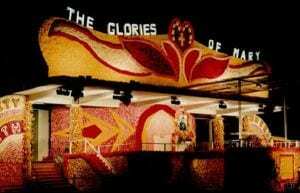 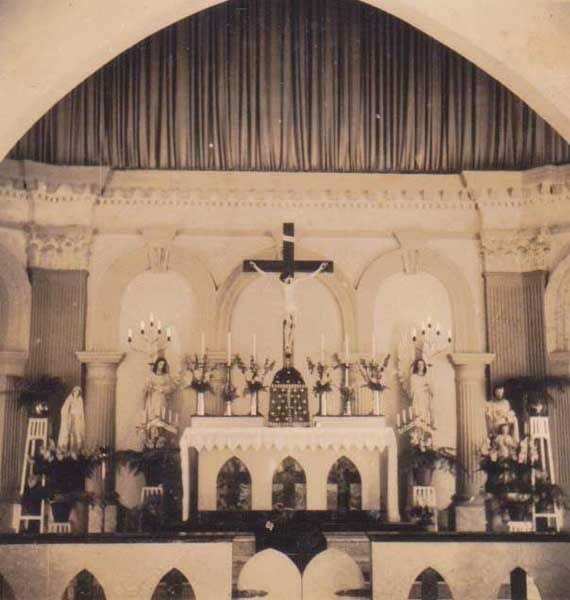 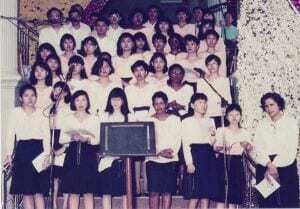 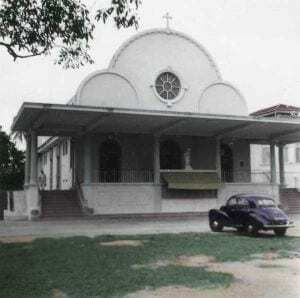 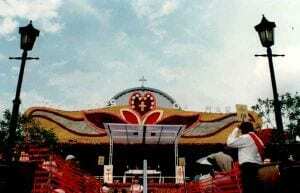 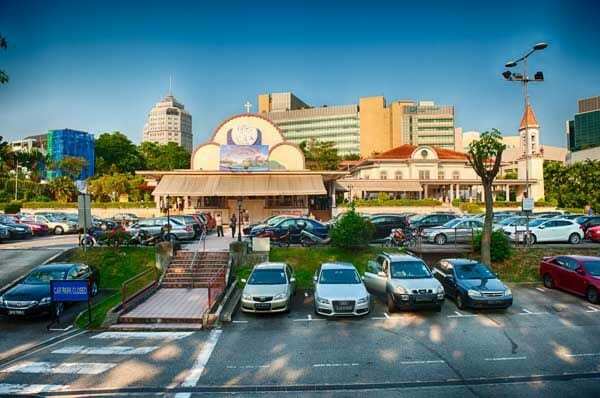 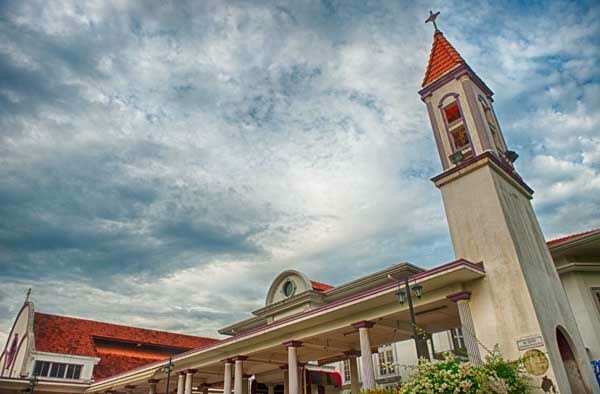 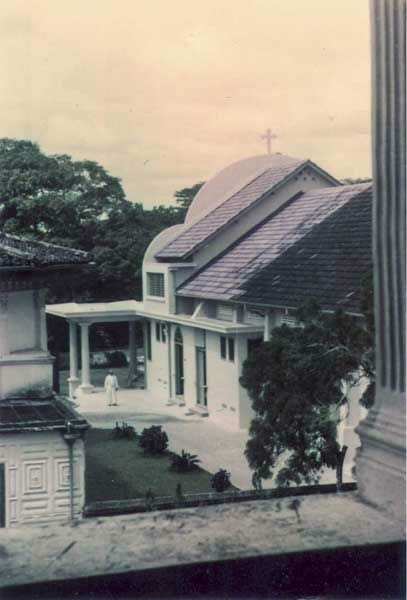 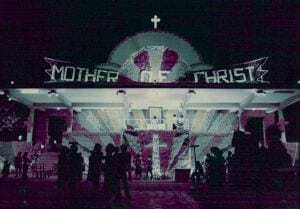 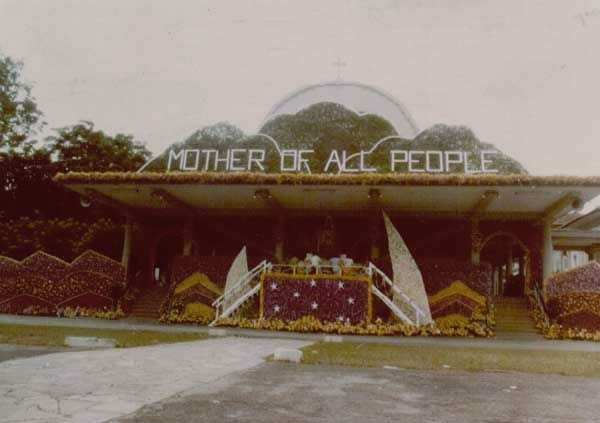 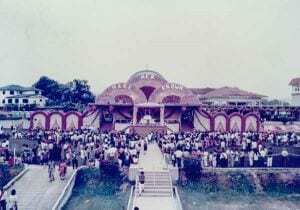 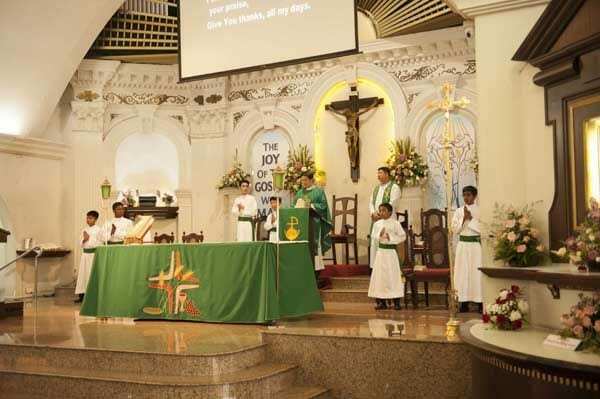 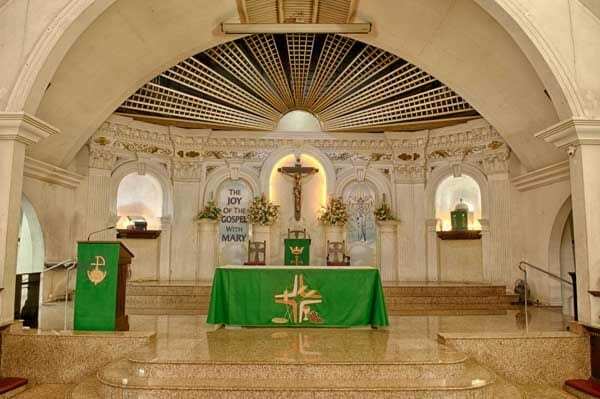 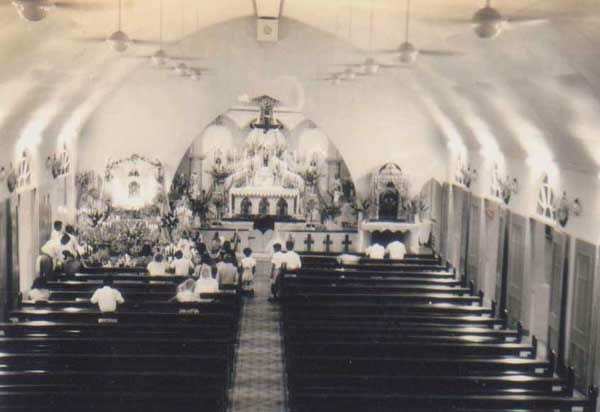 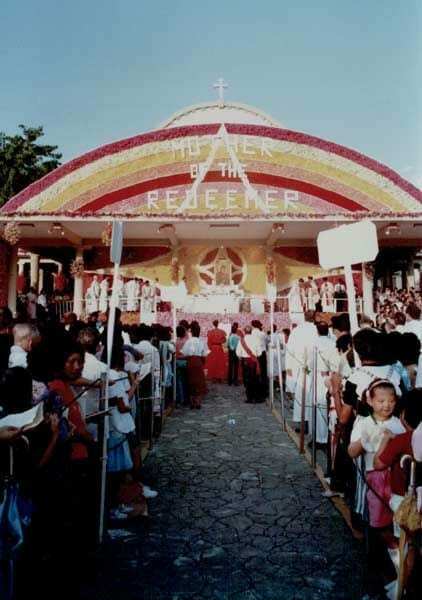 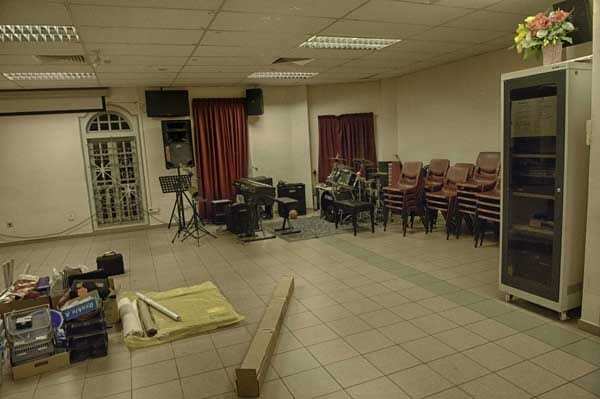 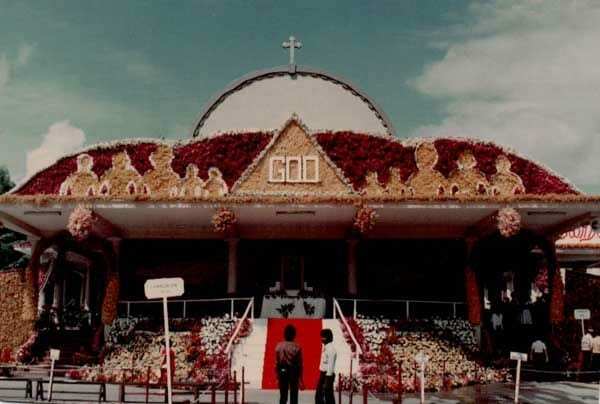 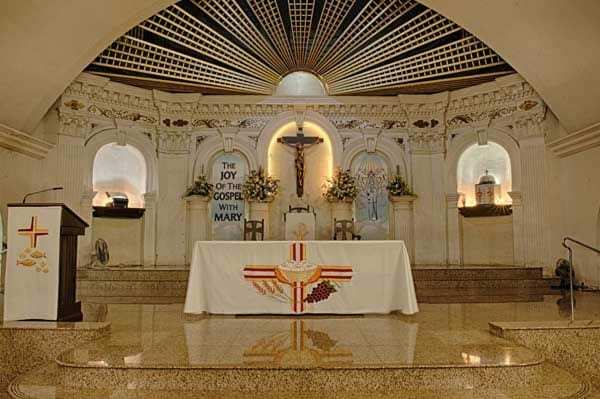 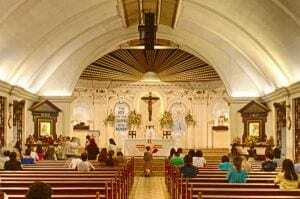 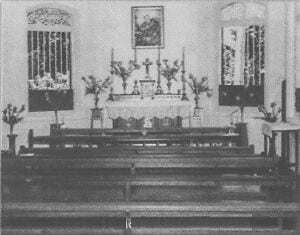 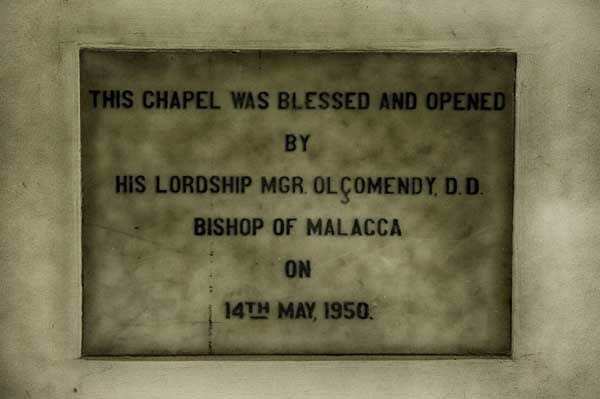 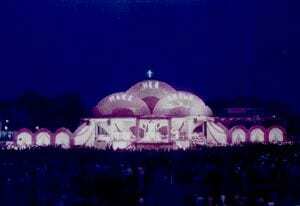 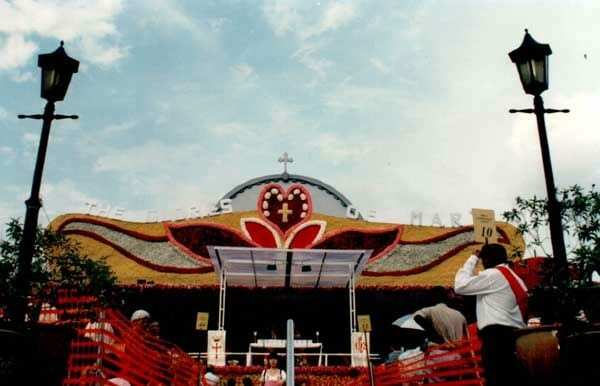 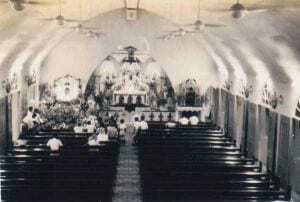 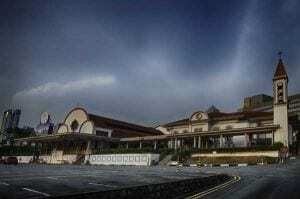 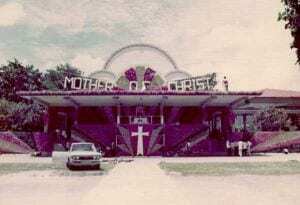 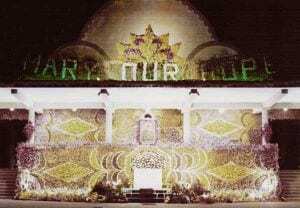 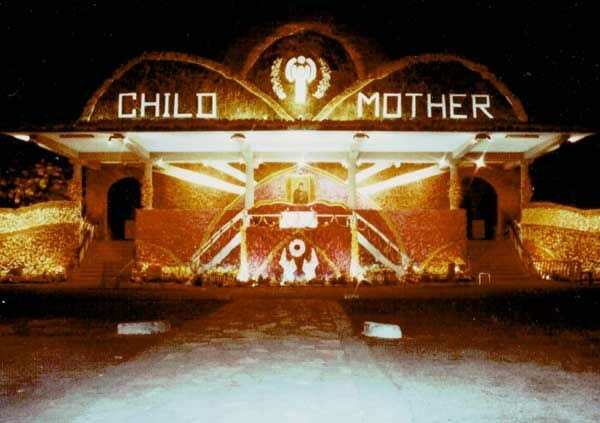 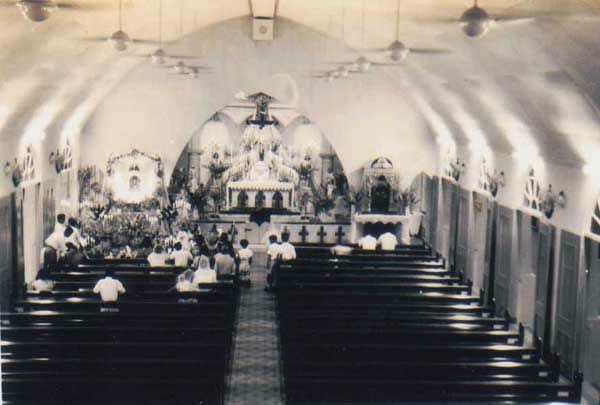 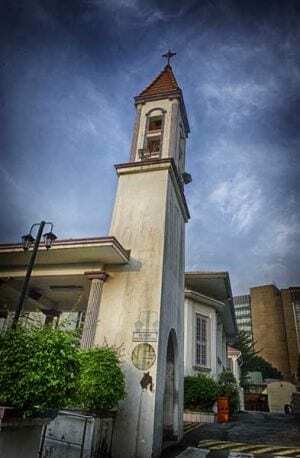 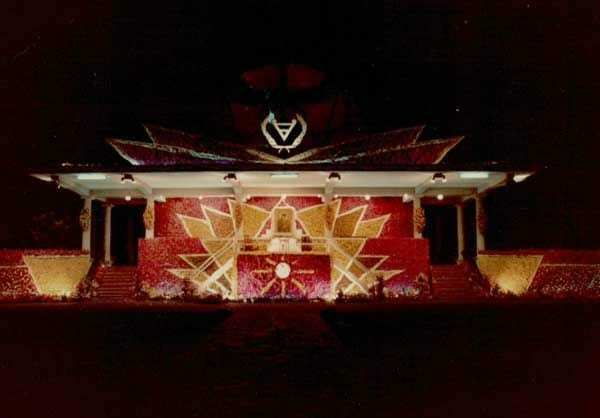 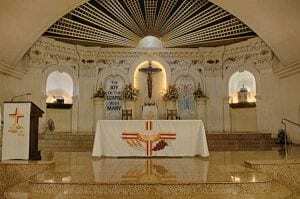 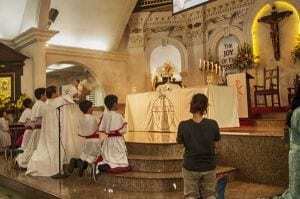 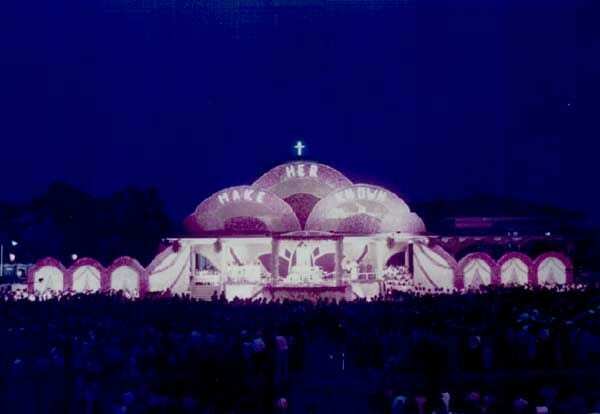 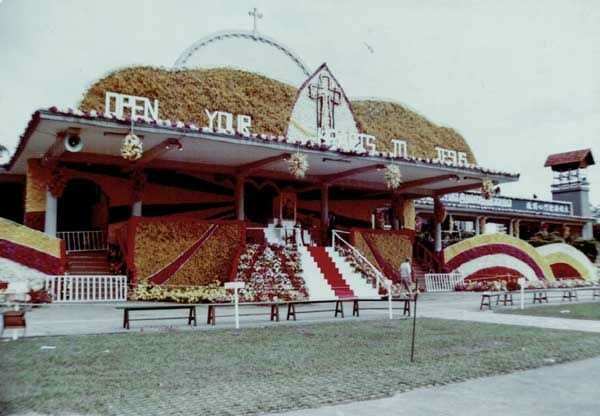 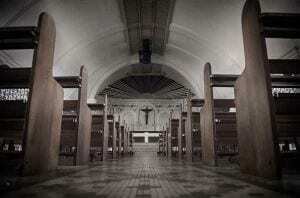 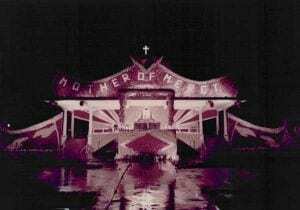 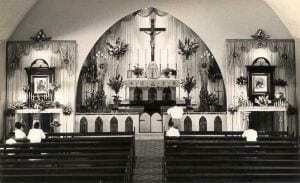 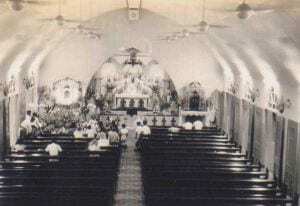 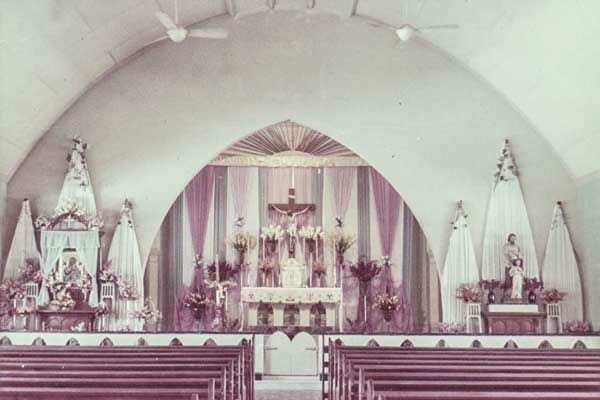 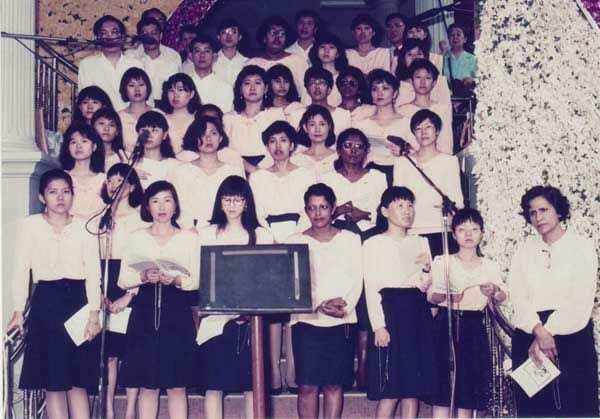 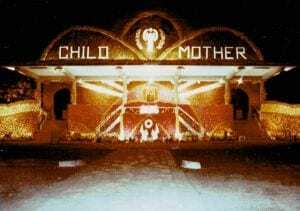 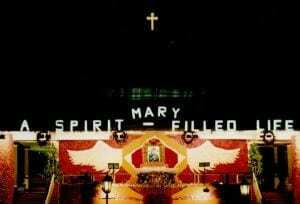 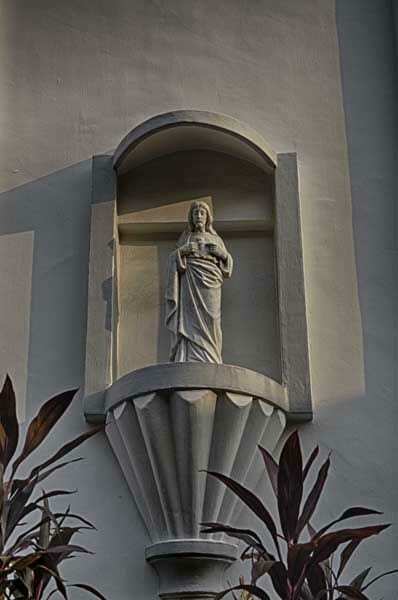 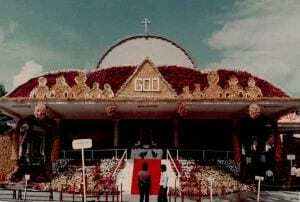 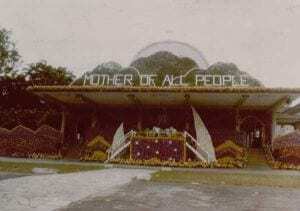 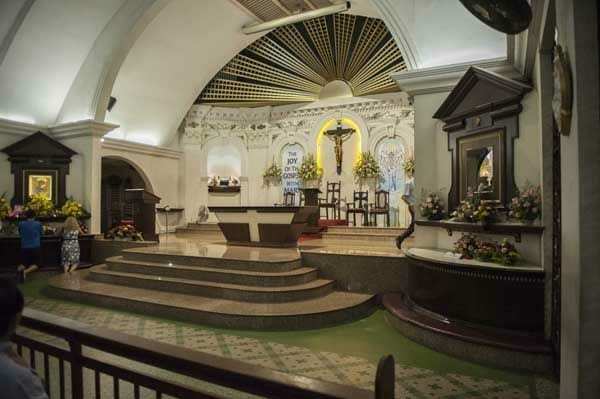 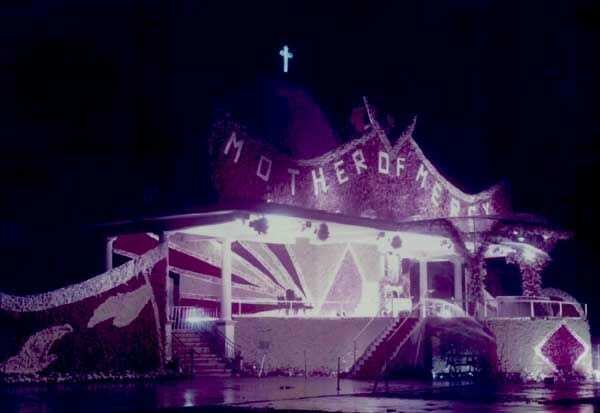 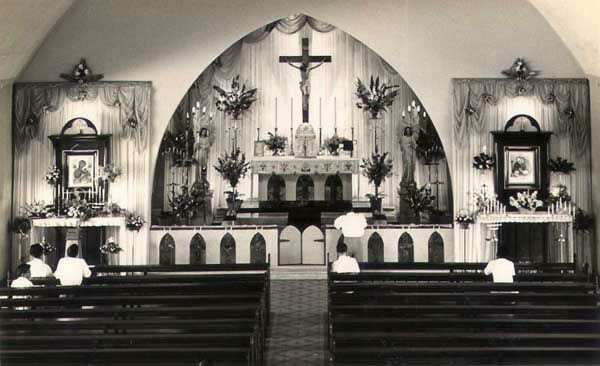 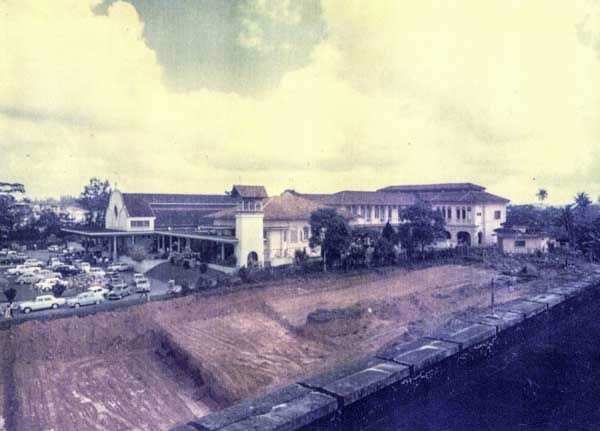 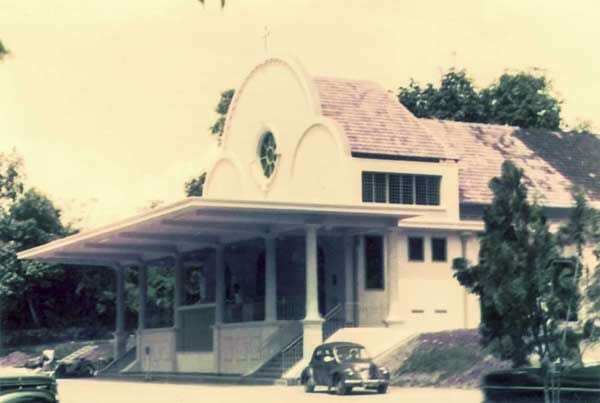 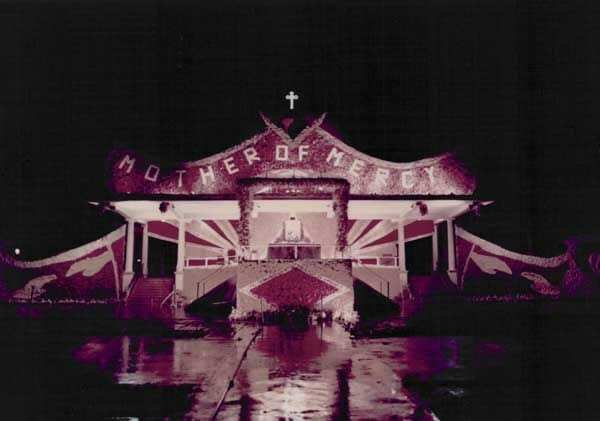 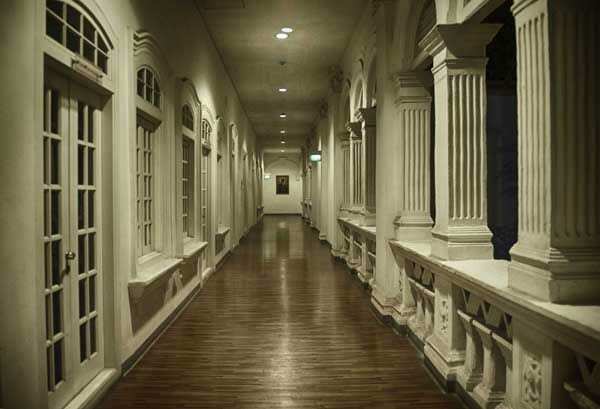 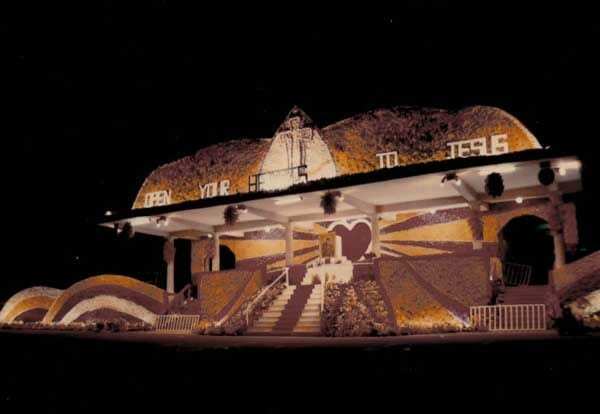 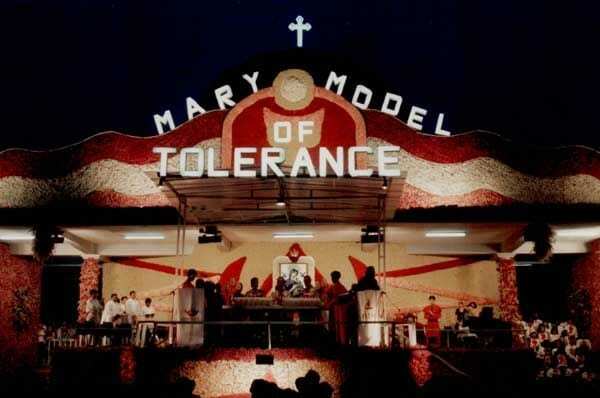 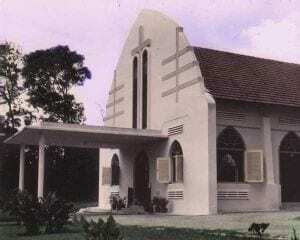 After all, the Novena Church as we know it now had undergone numerous changes already. 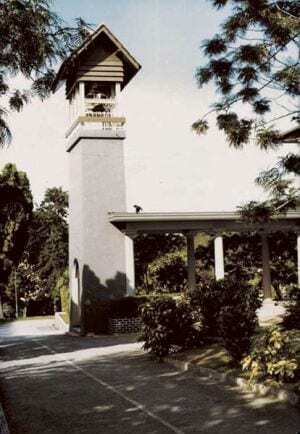 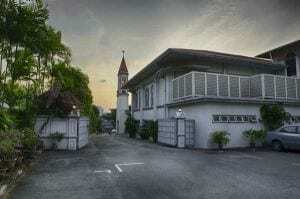 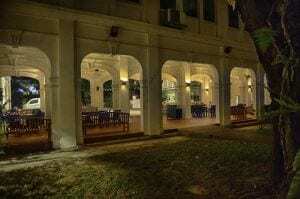 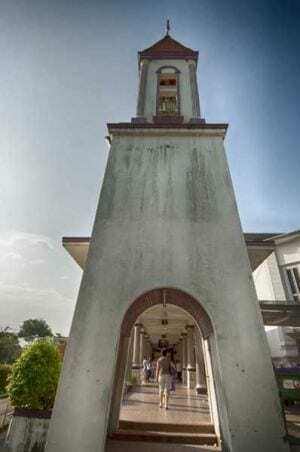 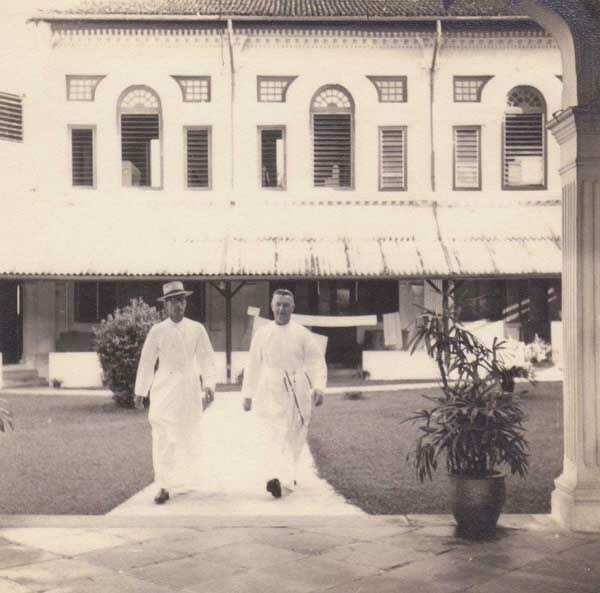 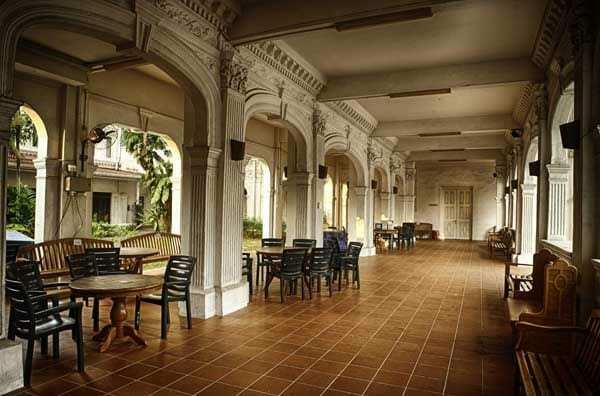 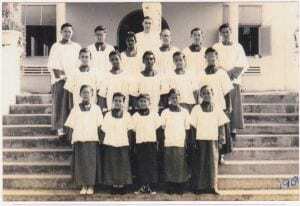 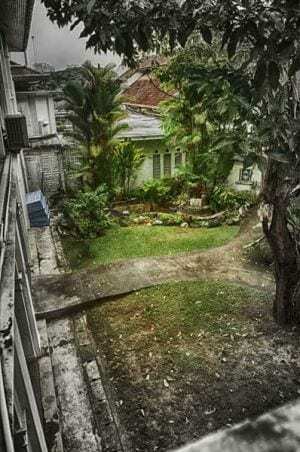 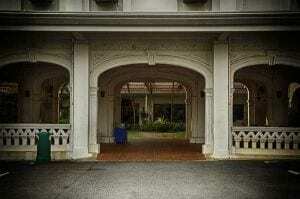 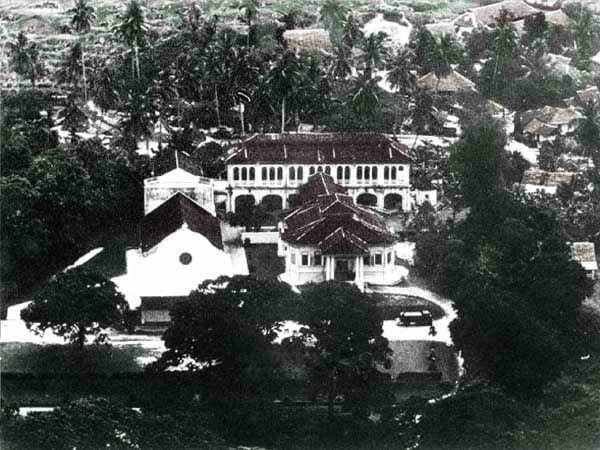 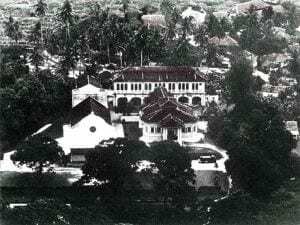 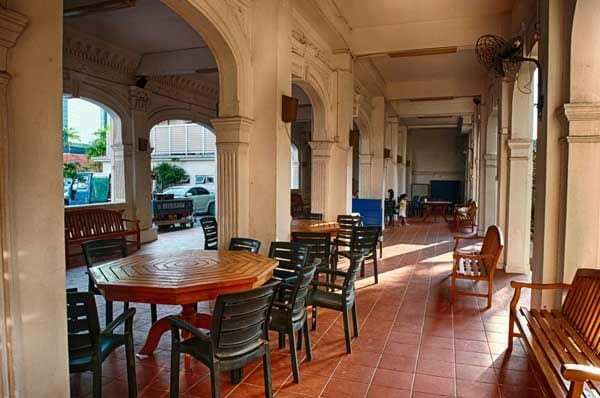 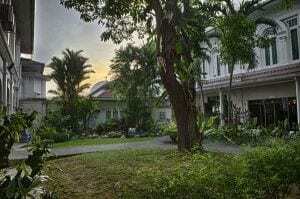 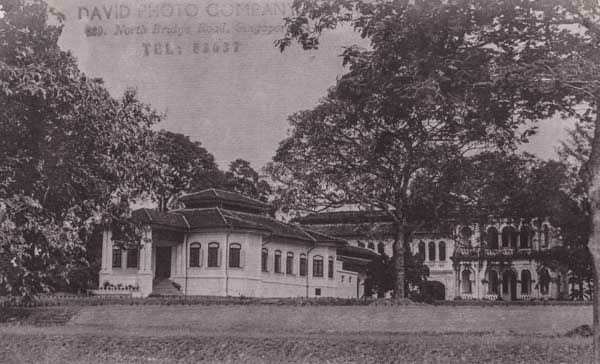 The grounds it is standing on is in fact its 3rd home since the Redemptorists came to Singapore from Australia in 1935. 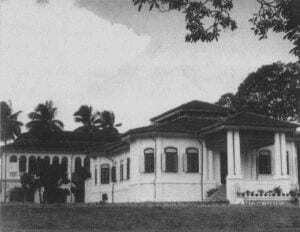 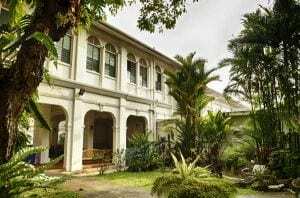 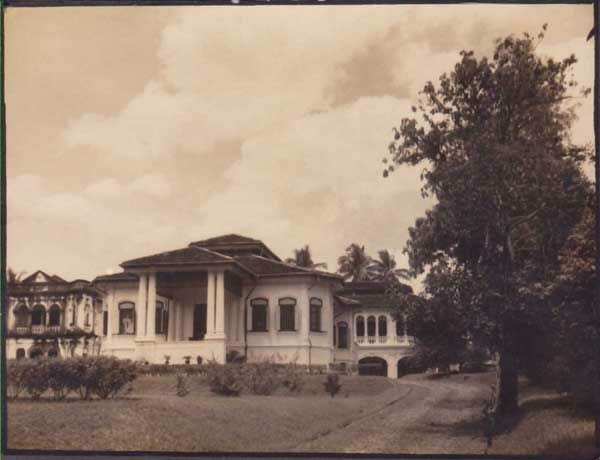 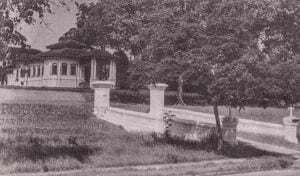 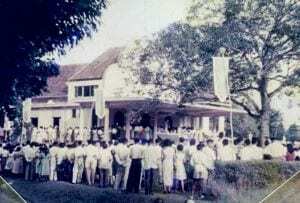 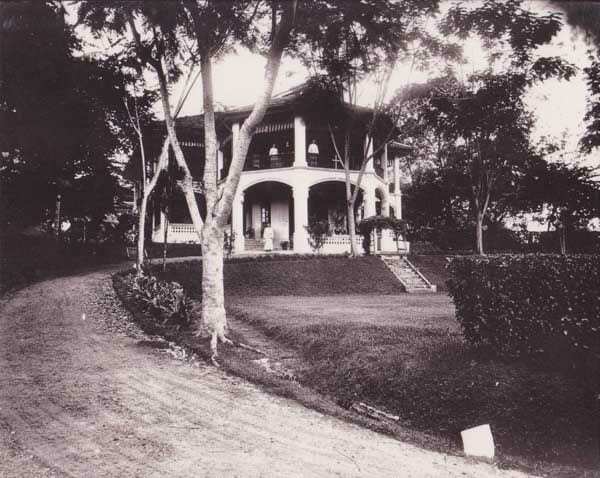 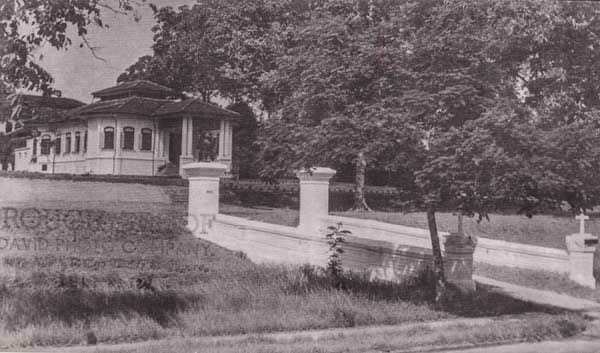 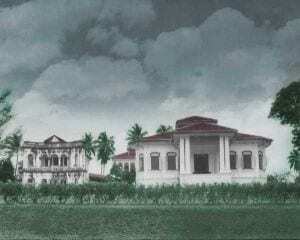 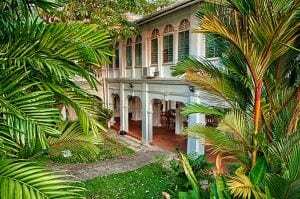 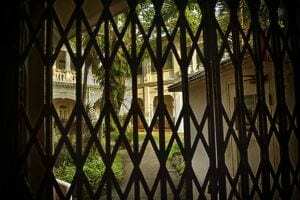 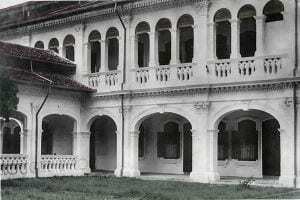 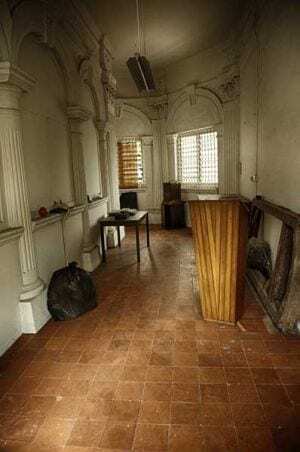 The first home was a rented bungalow further up Thomson Road, where Thomson Medical Centre is now sited. 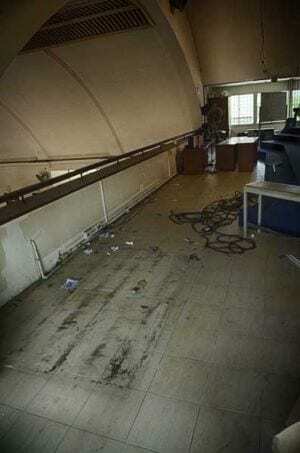 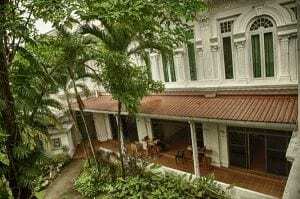 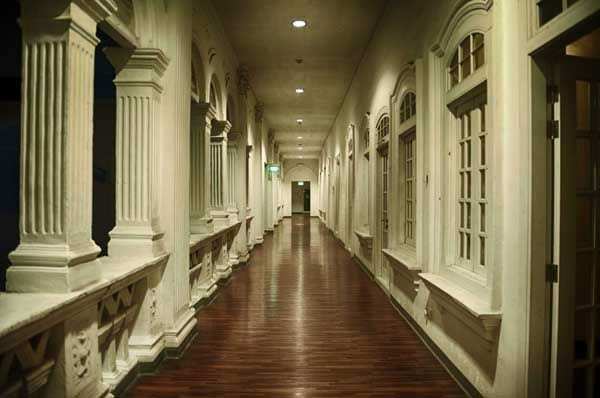 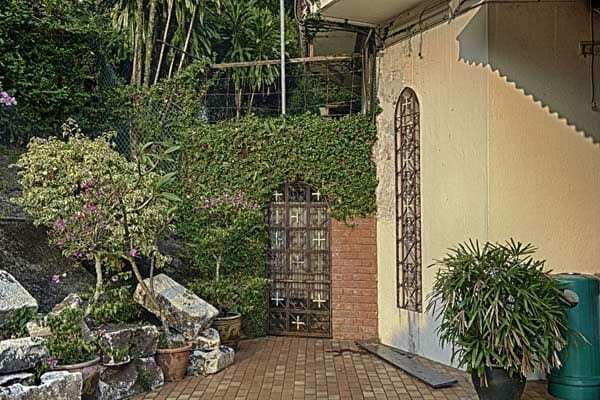 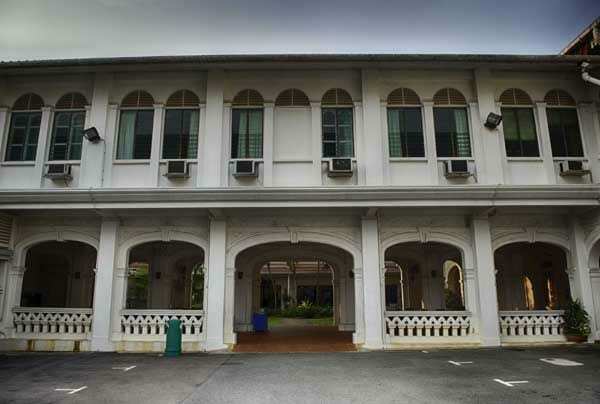 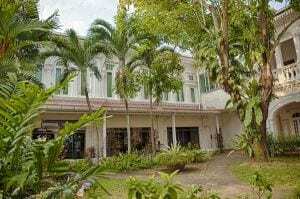 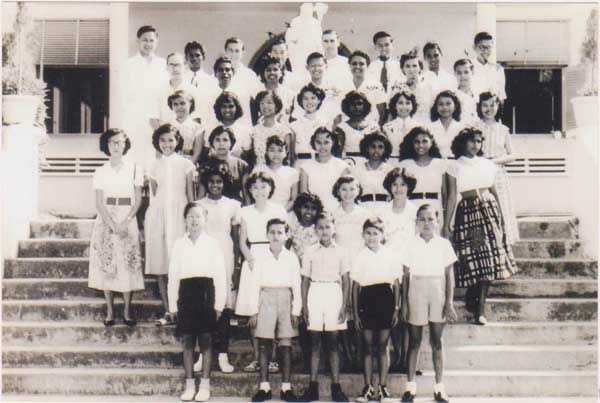 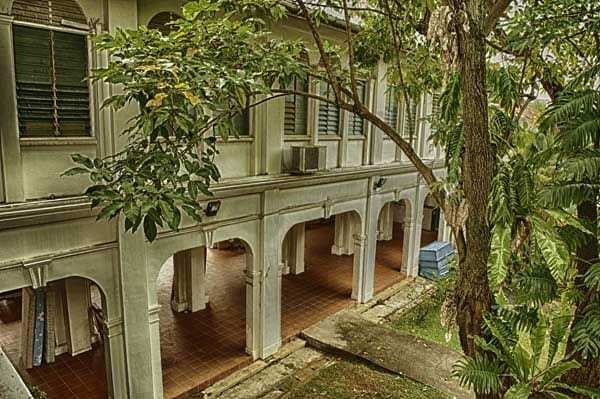 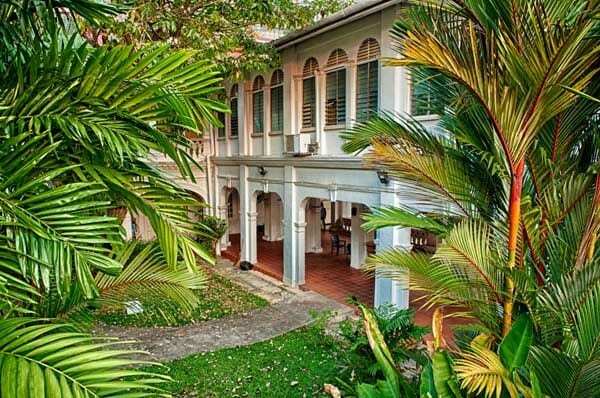 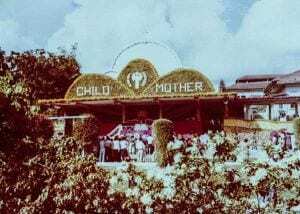 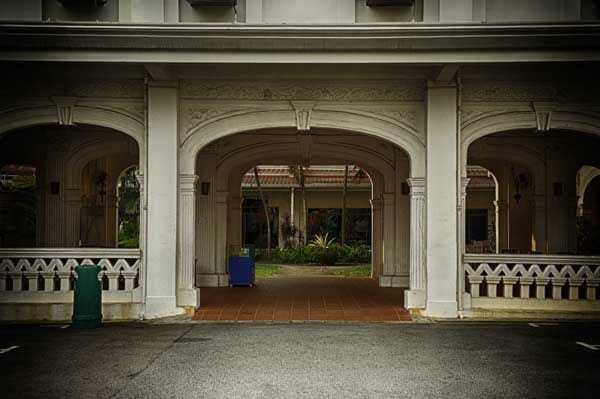 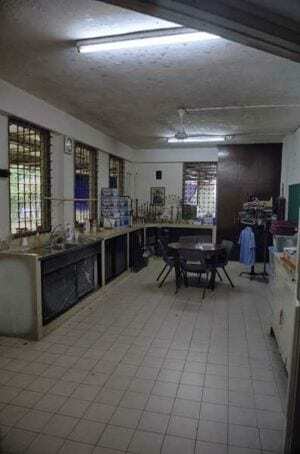 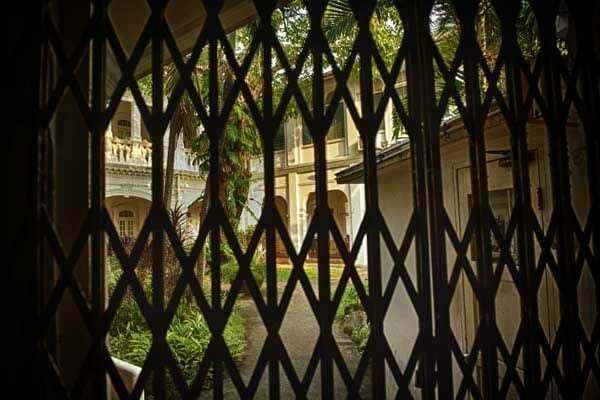 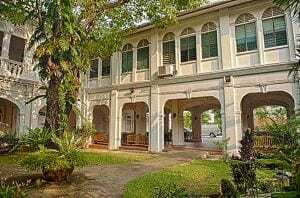 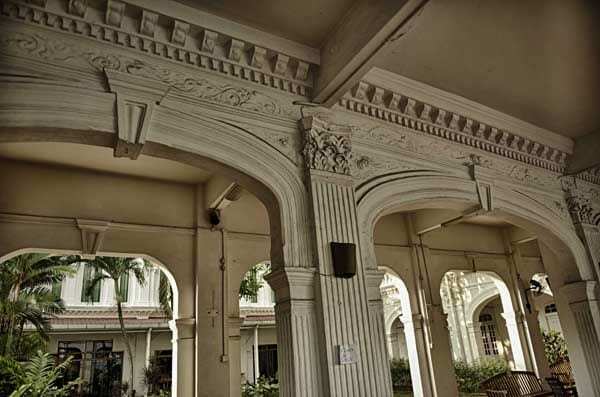 The second residence was found after World War II on the outskirts of Toa Payoh, where EtonHouse International has its newest pre-school campus. 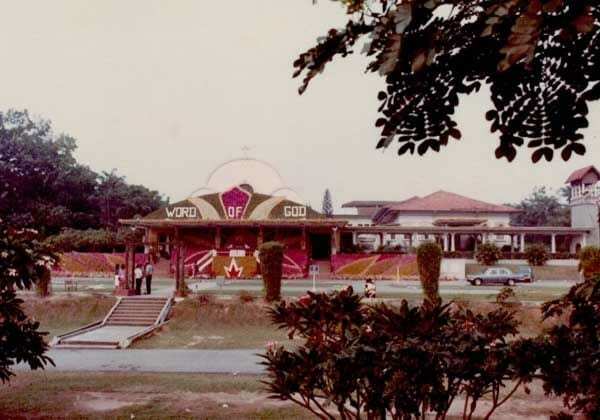 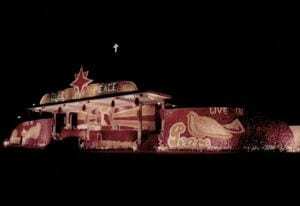 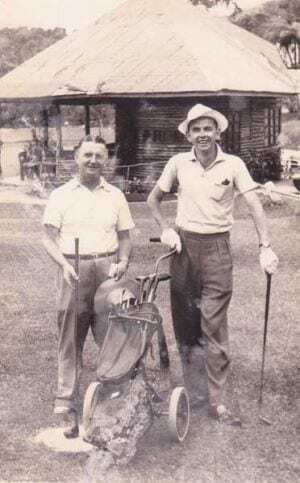 This location had previously housed Chequers Hotel (when it was populated by British families in transit), Europa Country Club Resort as well as the ill-fated Celebrities Resort Club that never opened. 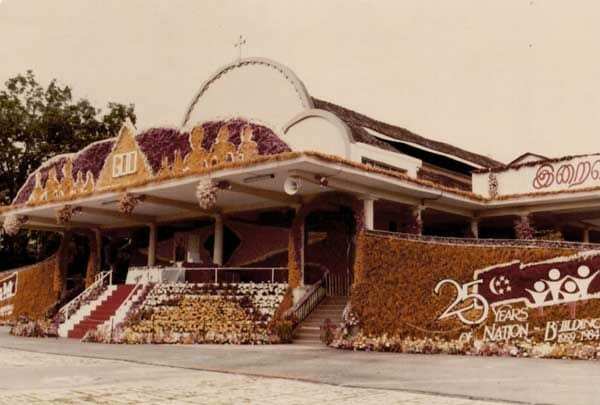 I am grateful to be part of the team, led by archivist Jerome Pang, that is helping to archive the memories of Novena Church. 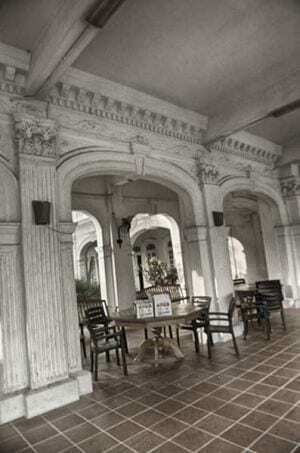 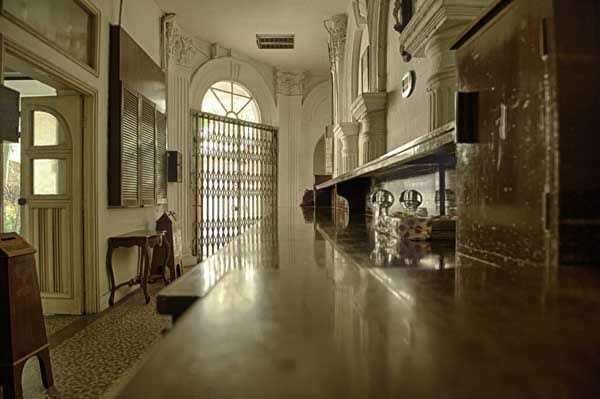 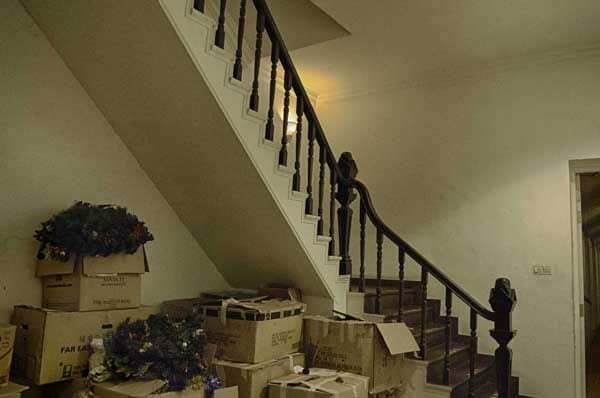 As we unearth old photos and artifacts, we are reminded of the rich history we have inherited. Here are some of our findings. Sad though I am to lose this important link in my history, I realize there are others who would suffer greater pangs of loss from the rebuilding – the residents at Novena Church, the priests and brothers, who would probably have preferred to live out their lives at this beautiful sanctuary in the way they remember it. It is a heroic act of sacrifice they are making, to accept this change with such serenity, knowing that it is for the good of all. 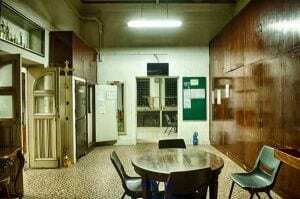 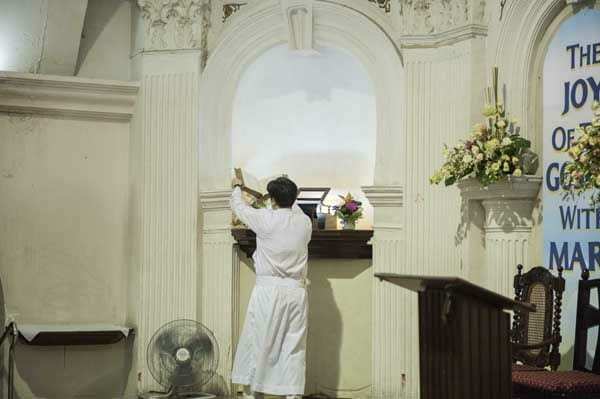 I managed to catch the very last days of Novena before she was shut down for the renovations. 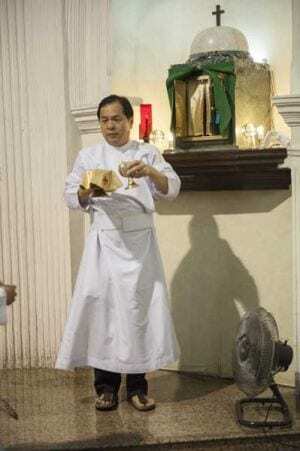 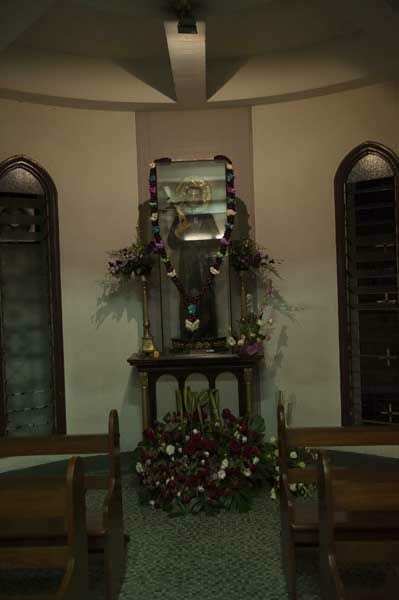 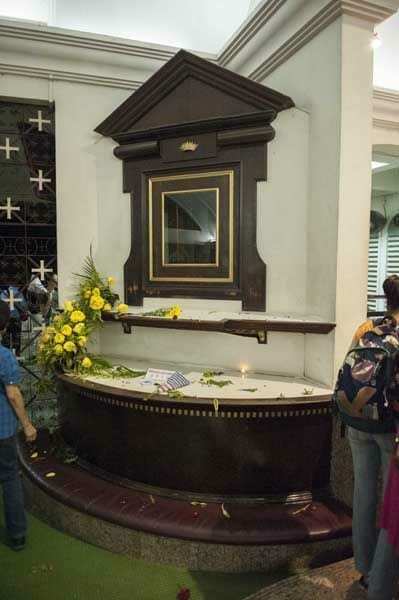 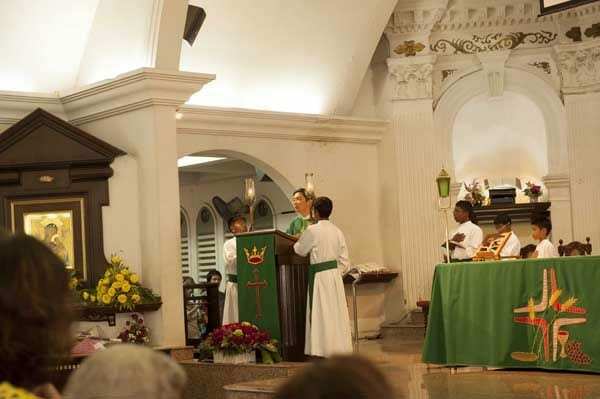 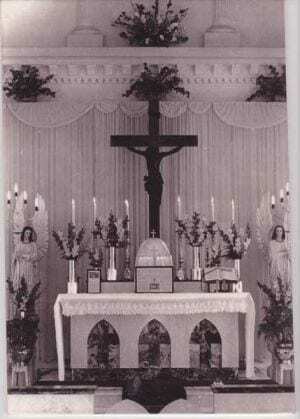 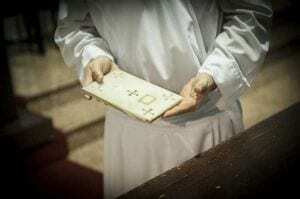 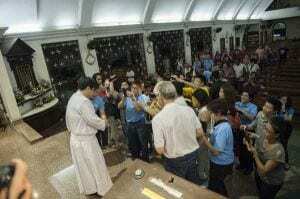 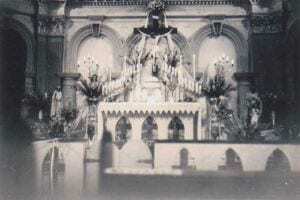 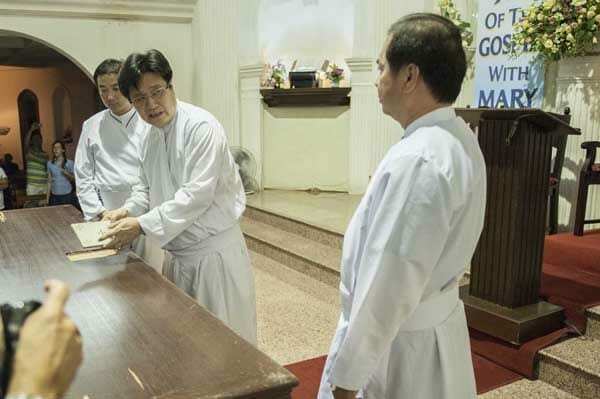 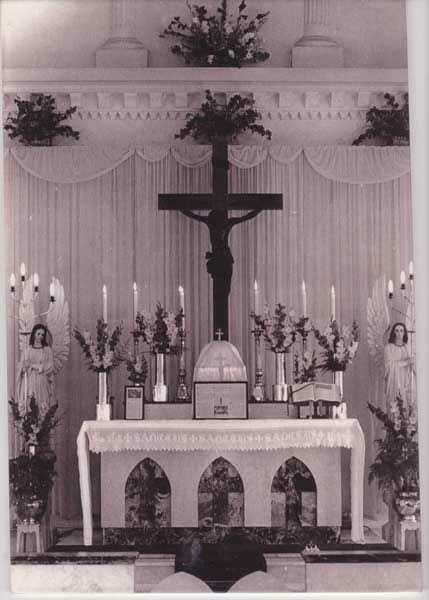 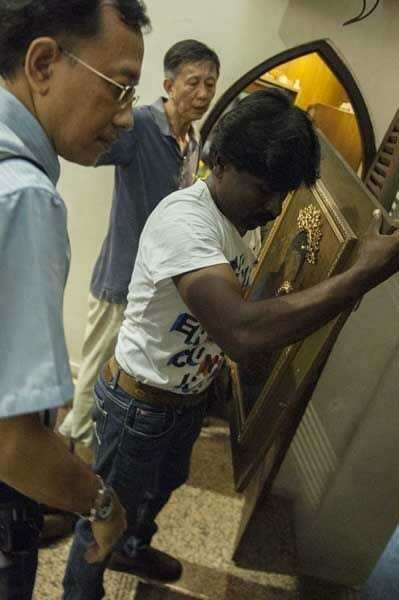 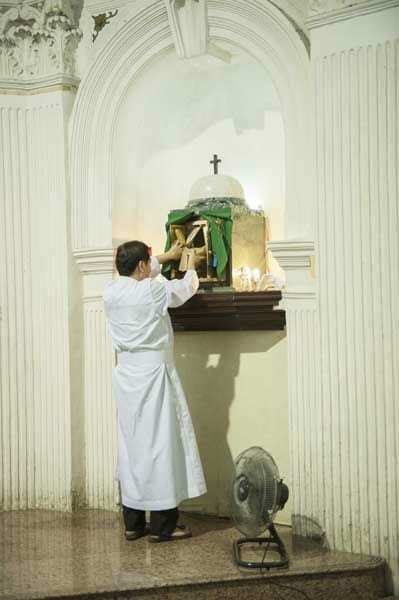 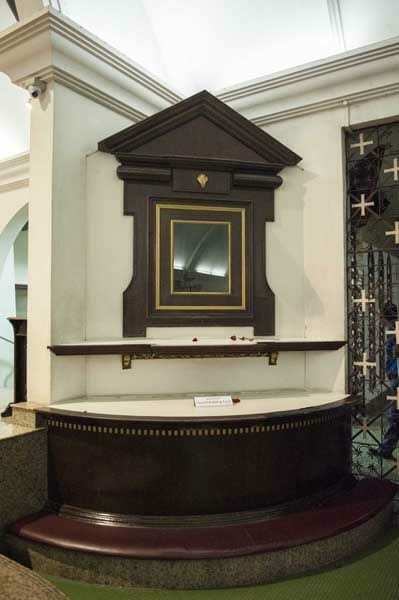 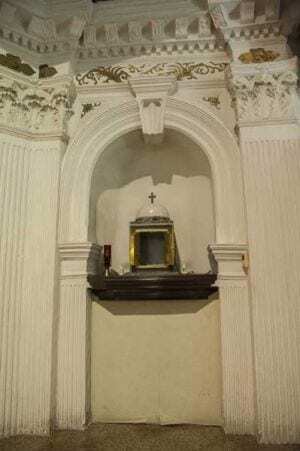 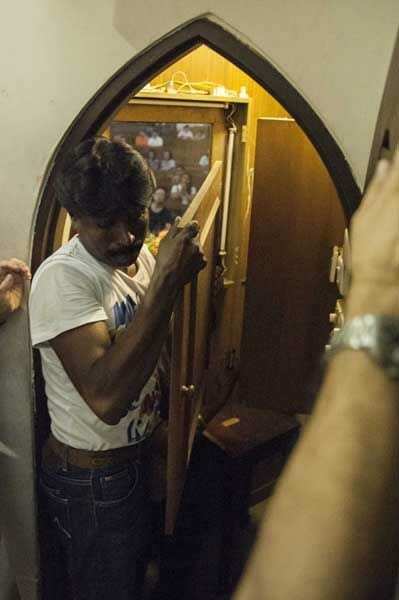 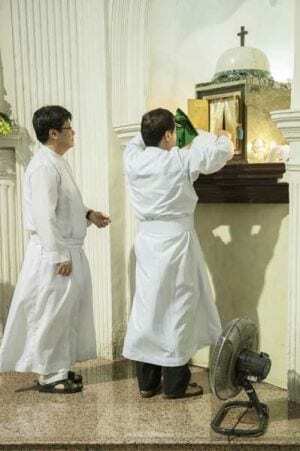 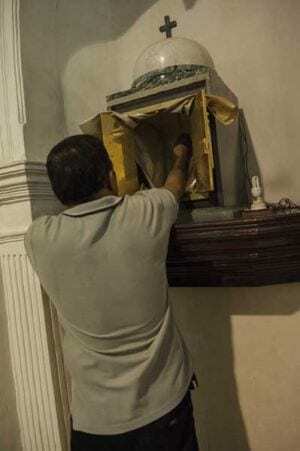 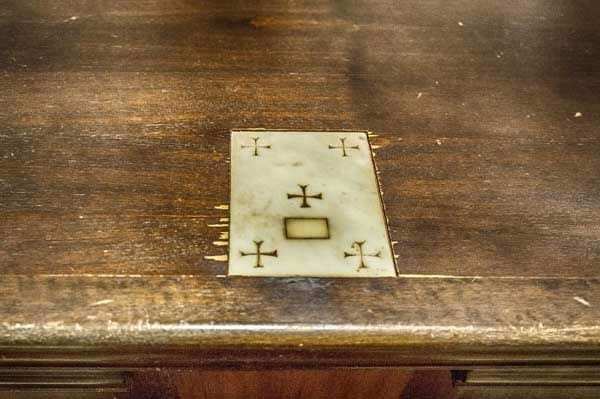 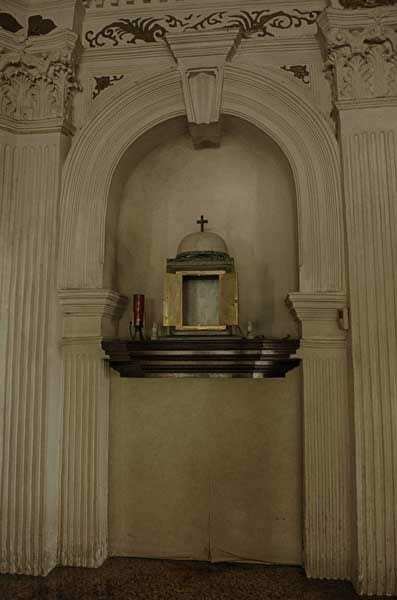 Here are some photos of the last events, including the removal of the relic from the altar. We also captured some aerial video of the place after the renovations had started. 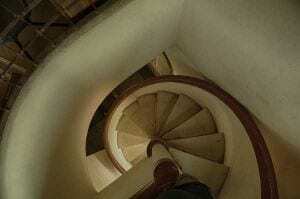 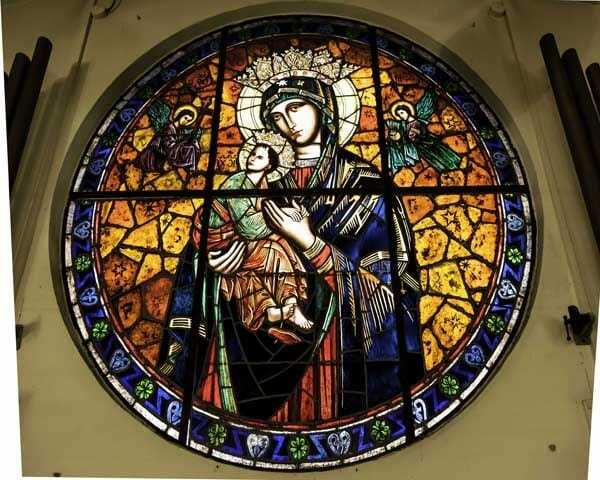 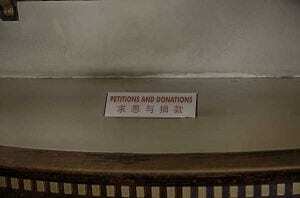 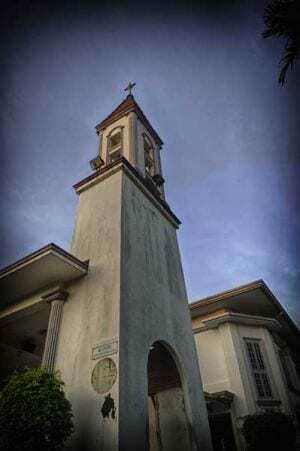 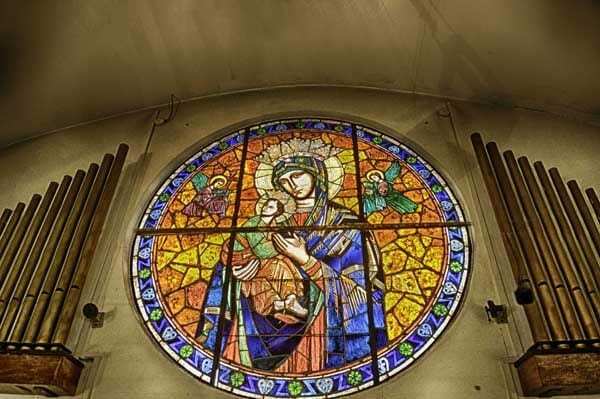 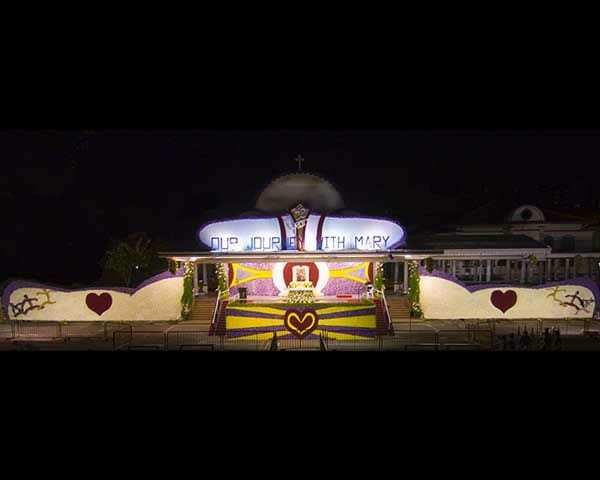 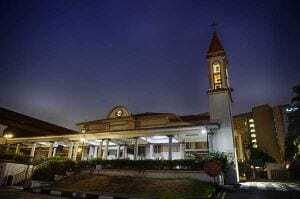 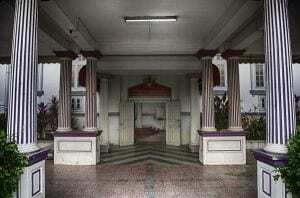 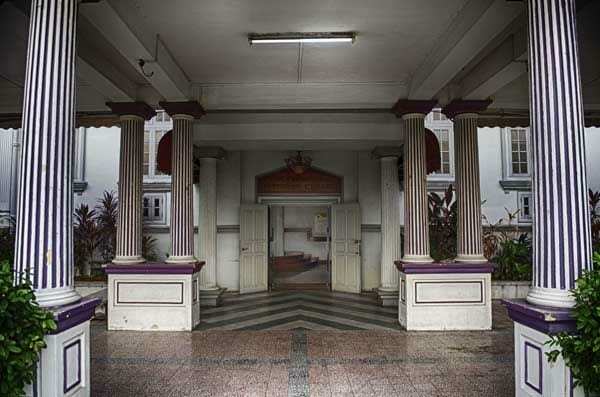 Novena Church (Church of St Alphonsus) from JJ on Vimeo.